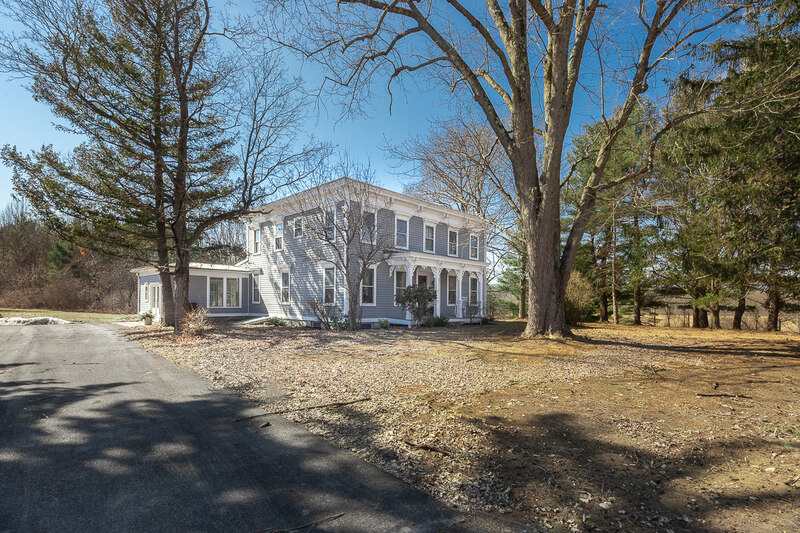 Classic Federal Style Home on 4 Secluded Acres! 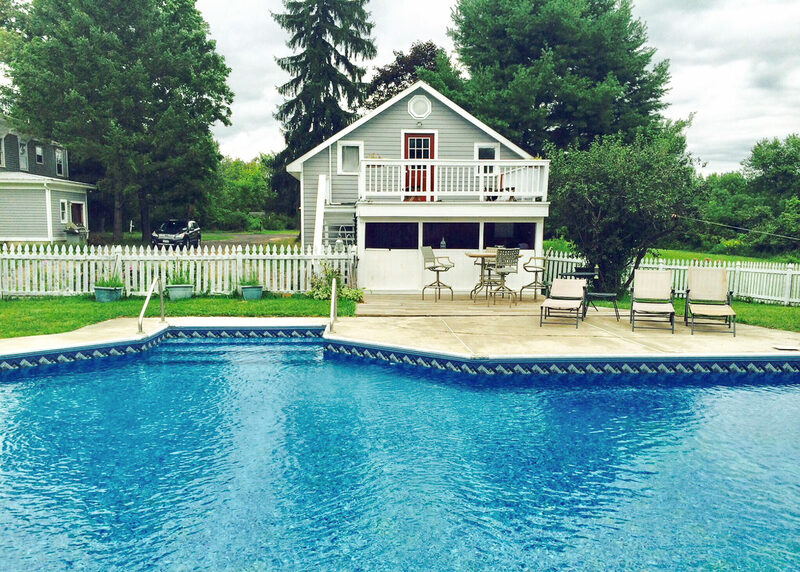 Welcome to 68 Miller Road! 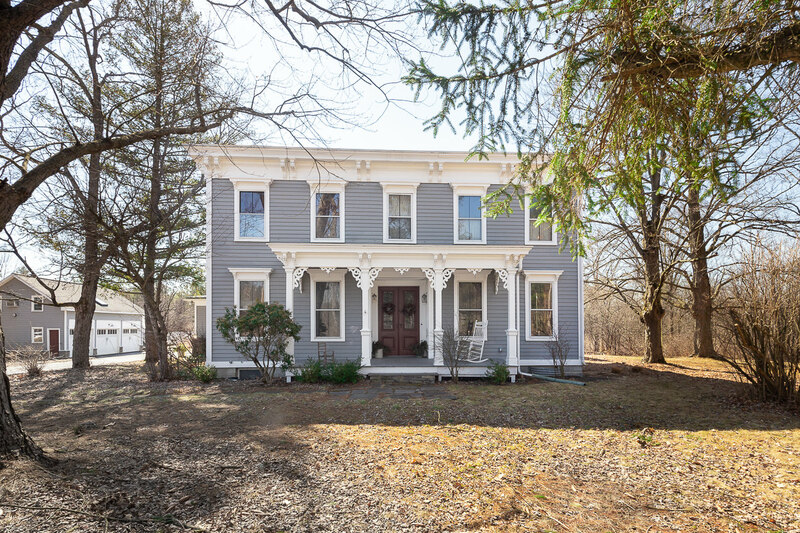 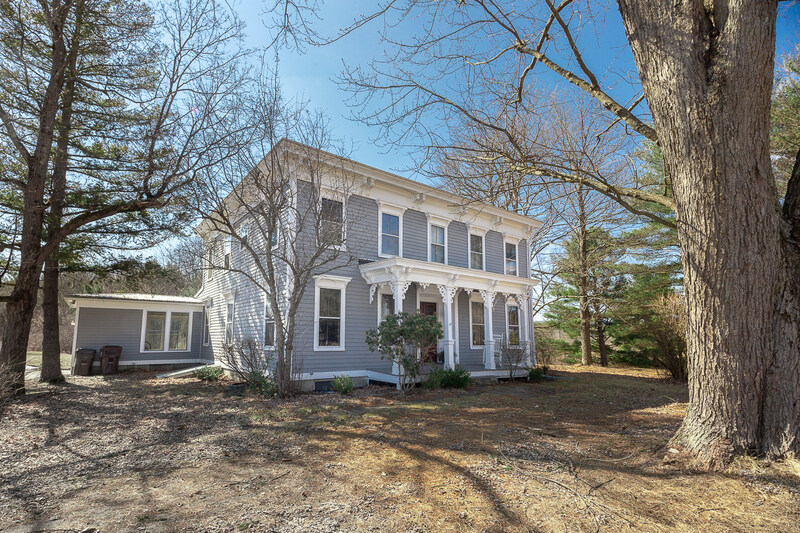 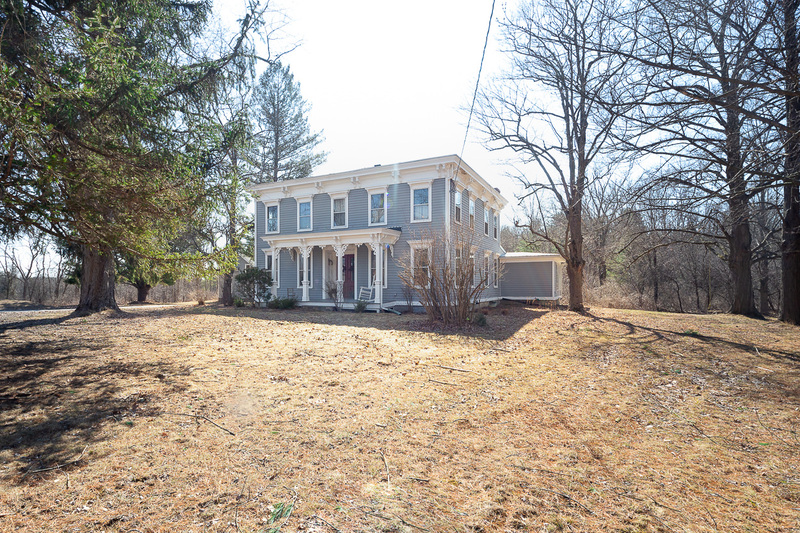 This classic Federal style home was built in 1867 and is nestled on a private road, just 10 miles from the heart of Albany. 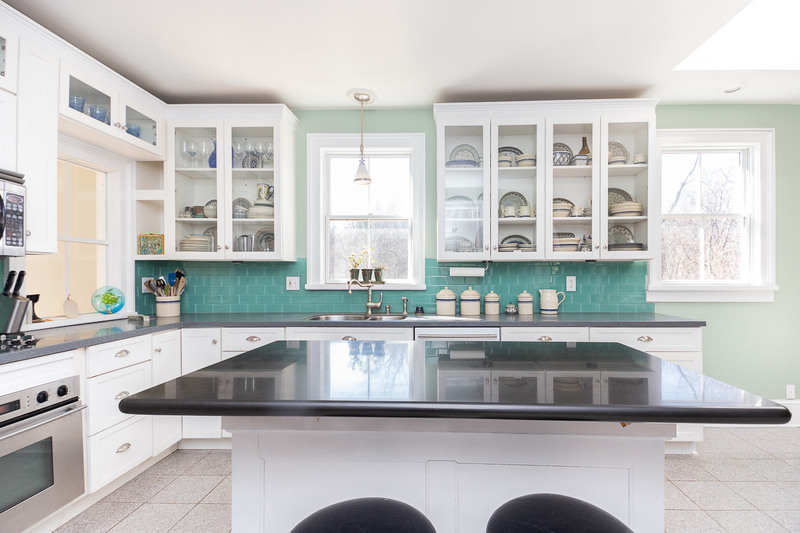 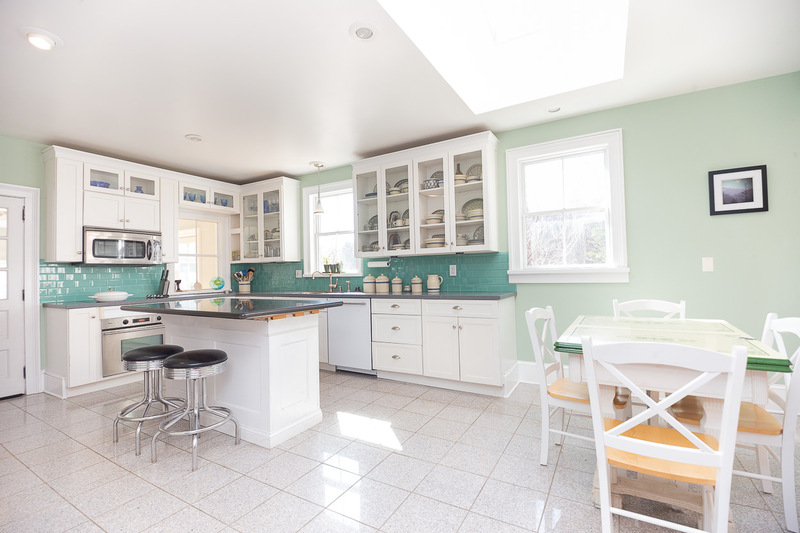 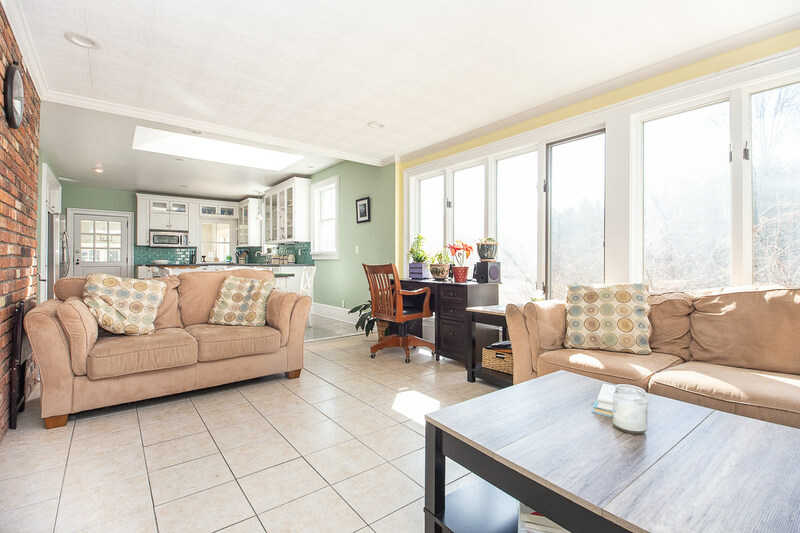 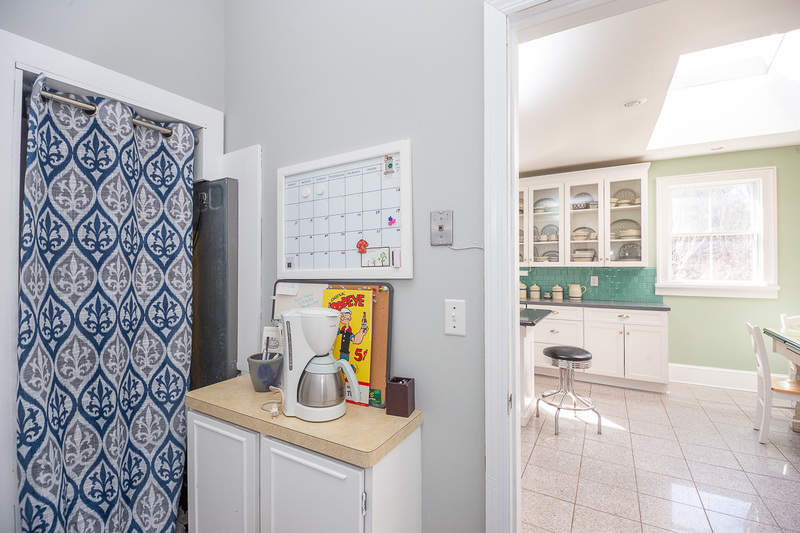 If you enter through the bright sun room added on in 2018 you’ll enter the original home through the gorgeous country kitchen – the heart of this home! 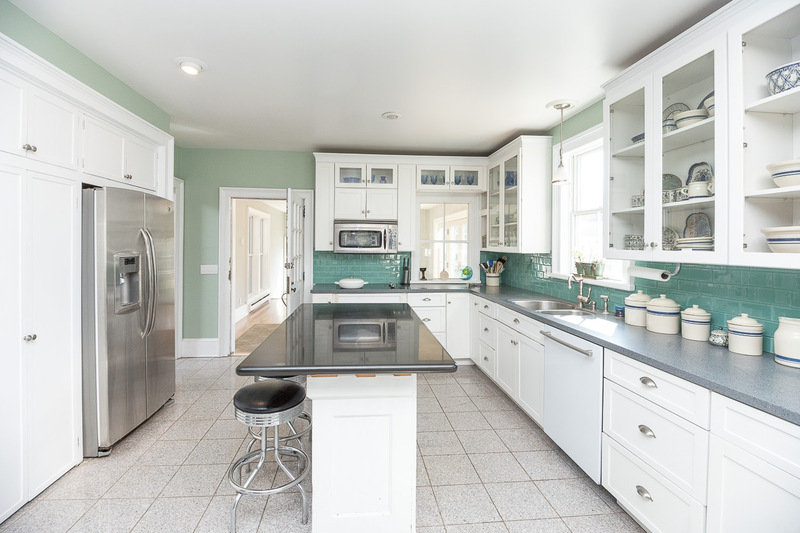 Perfect for hosting guests, the large island with barstools is surrounded by radiant white cabinets offering abundant storage space. 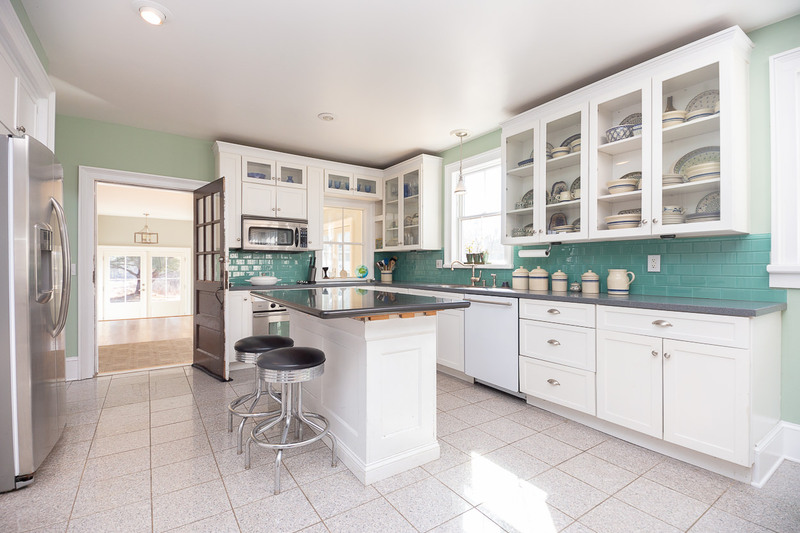 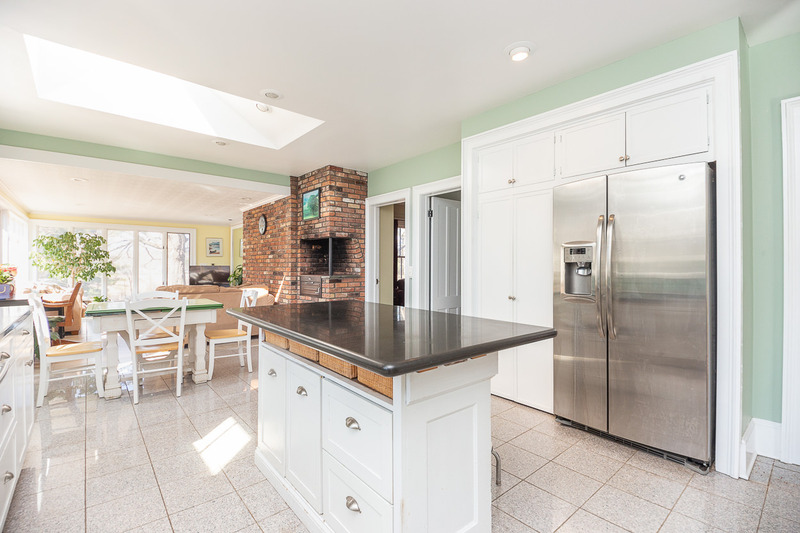 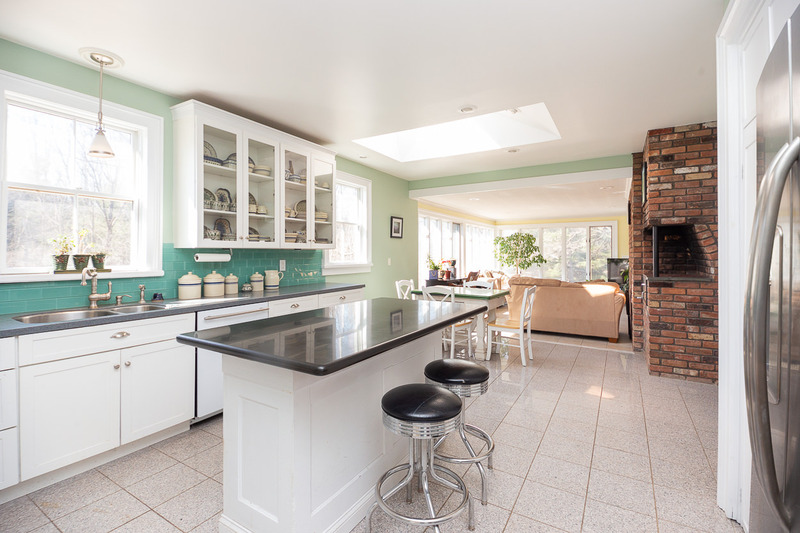 The stylish inlaid glass cabinets, unique brick pizza oven, heated granite floors, and skylight bring a style and comfort all their own to the room. 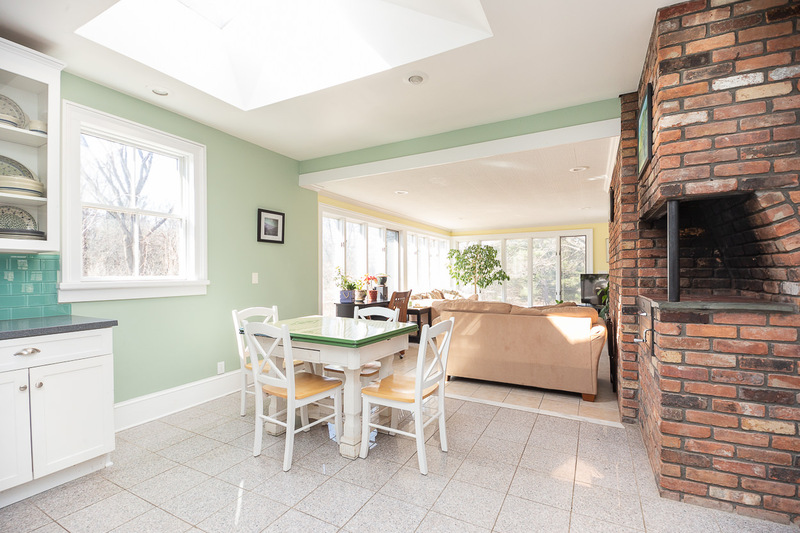 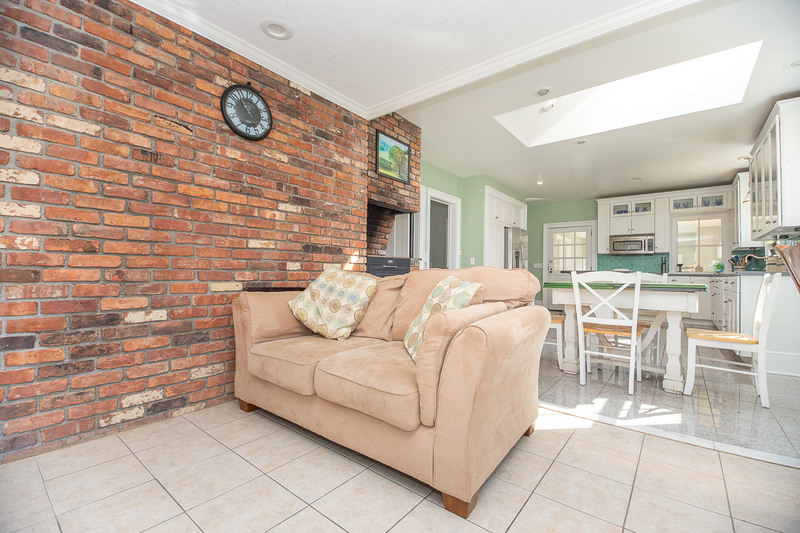 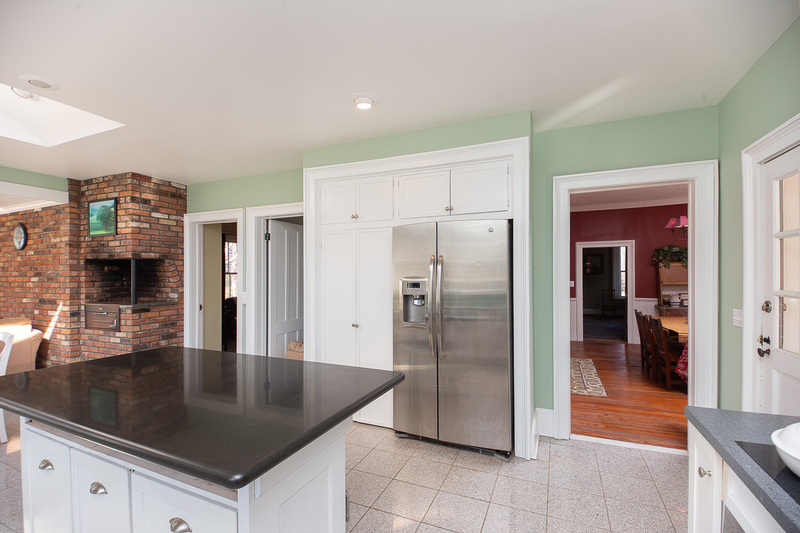 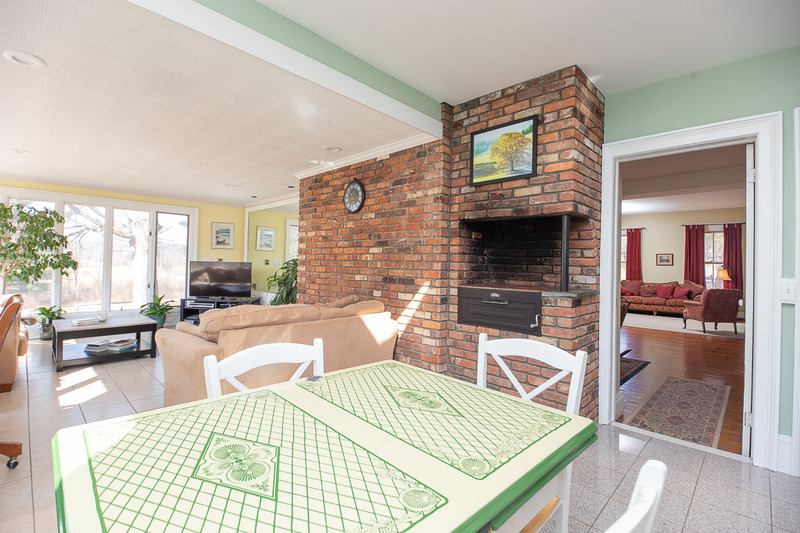 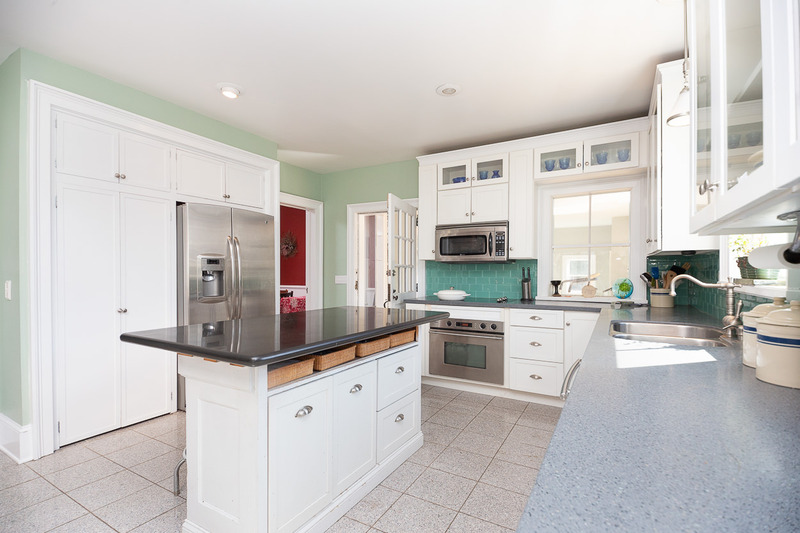 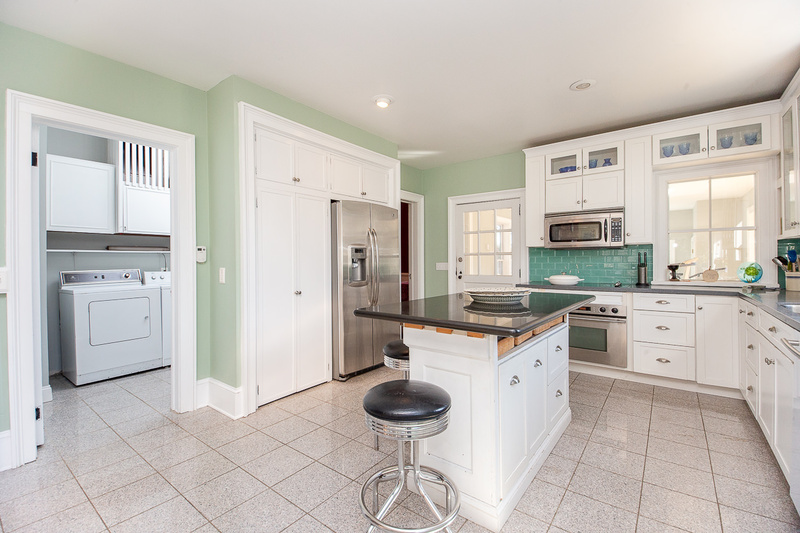 Adjoining the kitchen is the cozy, yet spacious family room. 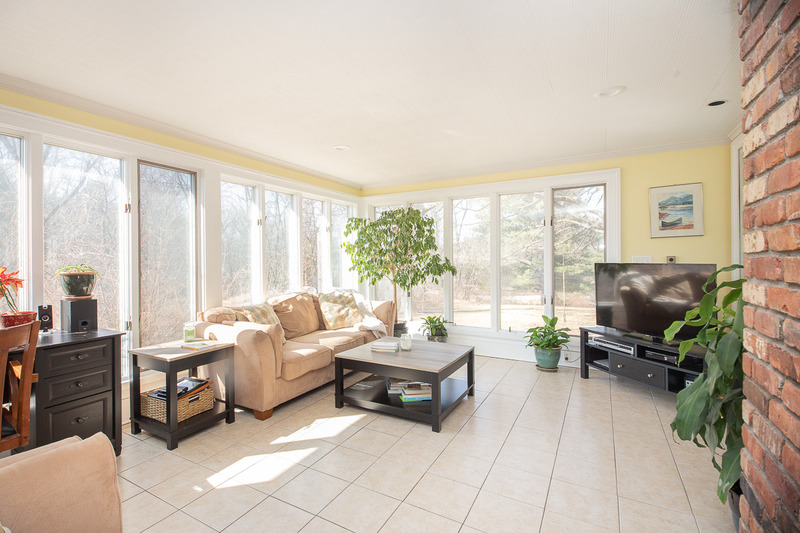 The focal point of the room is the numerous sunny windows that look out to the backyard, bringing the outside into this relaxing space. 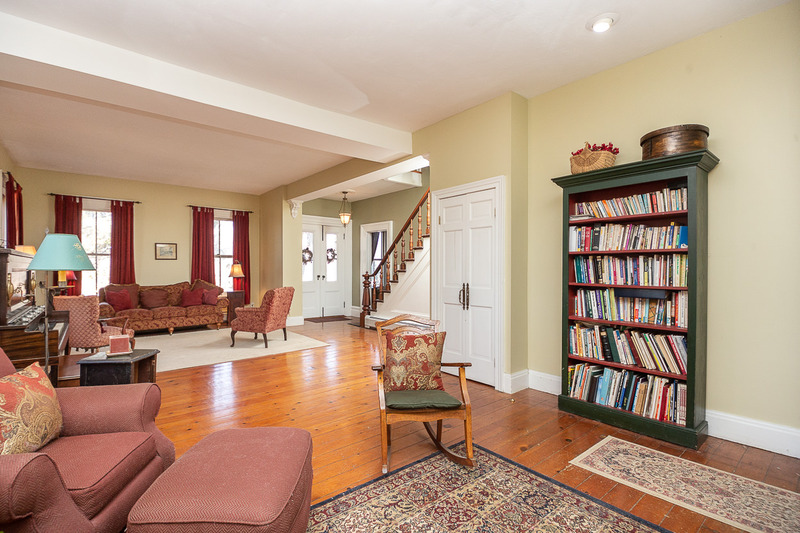 The first floor of this home holds unique timeless treasures that bring charm and warmth to every inch. 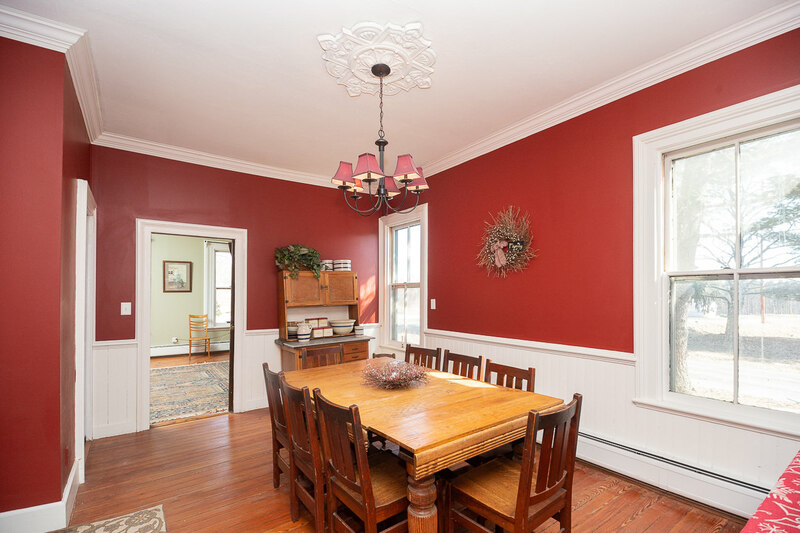 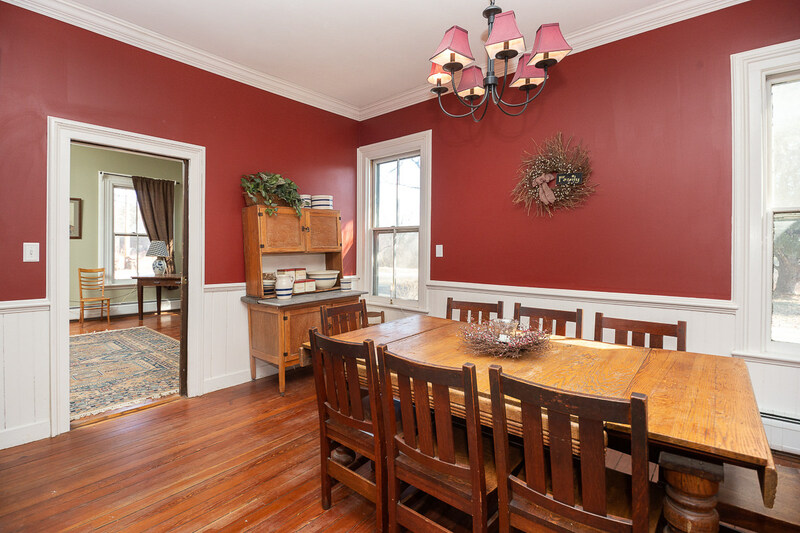 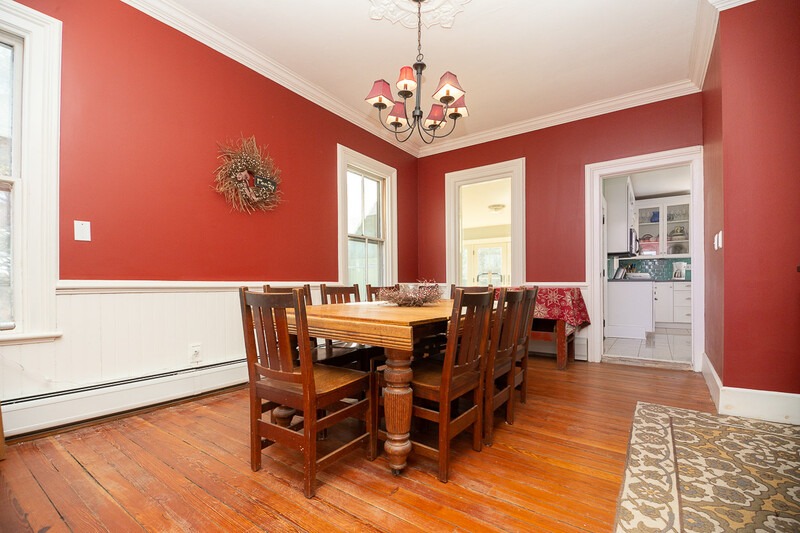 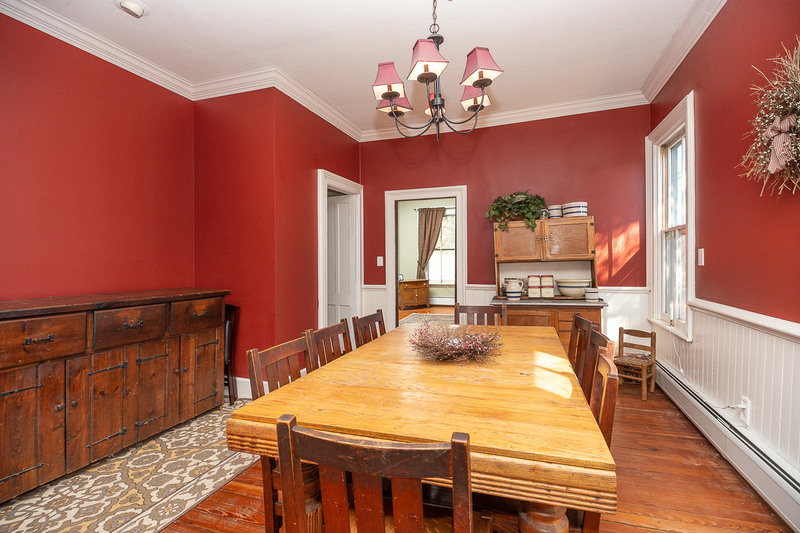 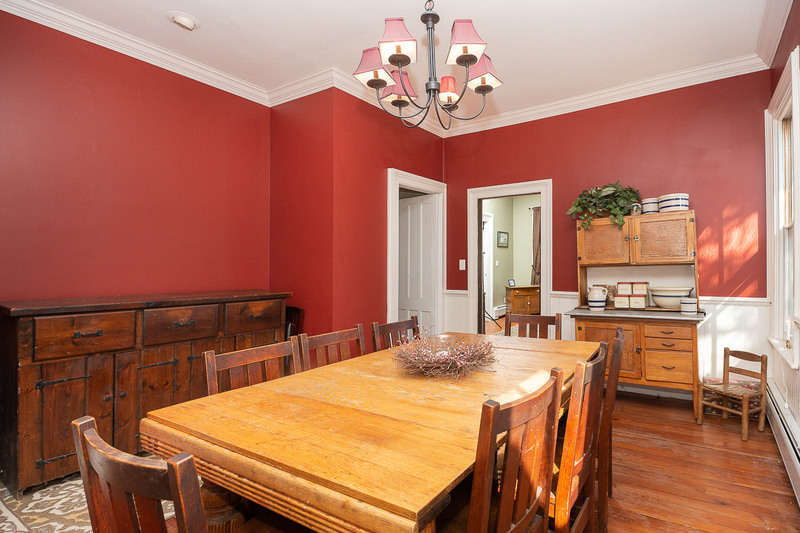 Enjoy dining with guests in the bold formal dining room featuring crown and chair rail molding. 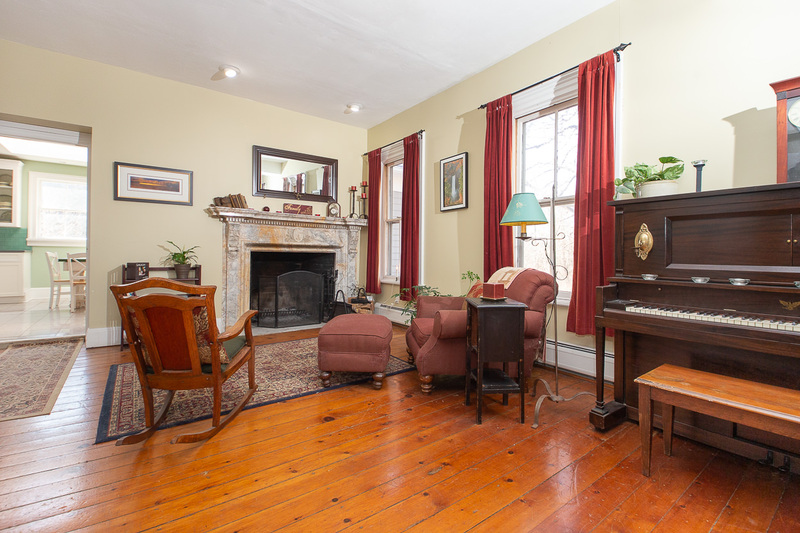 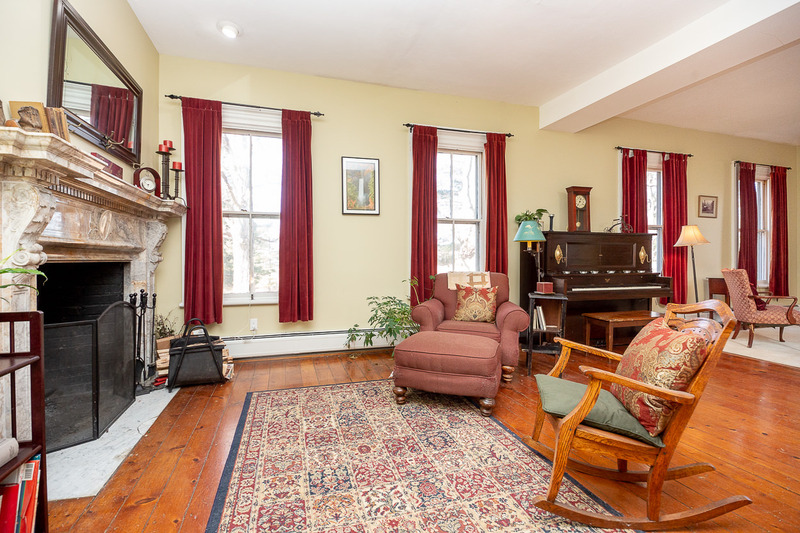 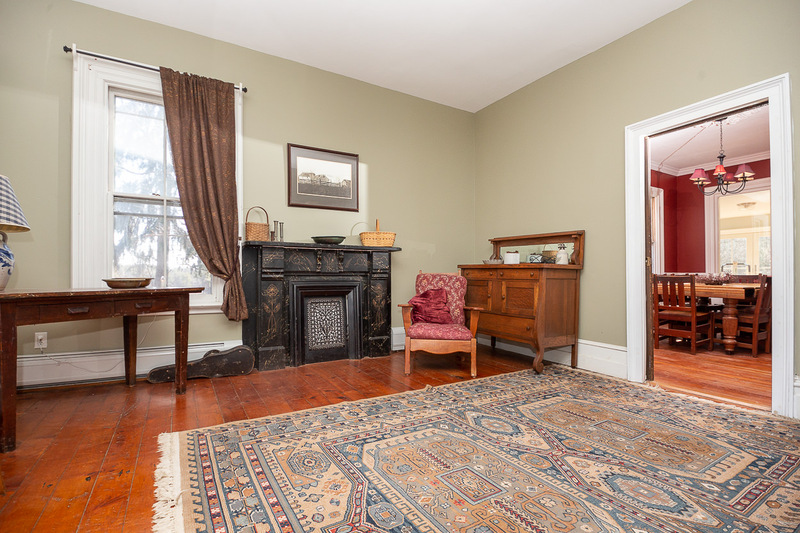 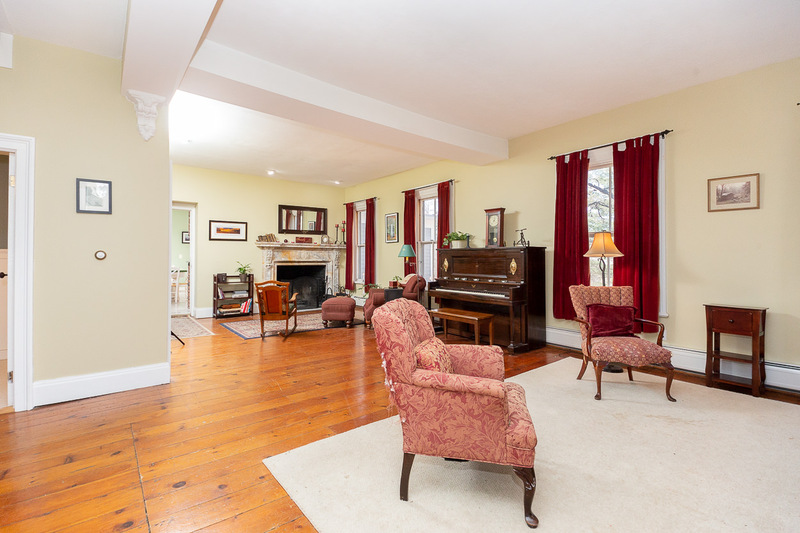 The den and huge living room include original details like two marble fireplaces to warm up next to in the winter months. 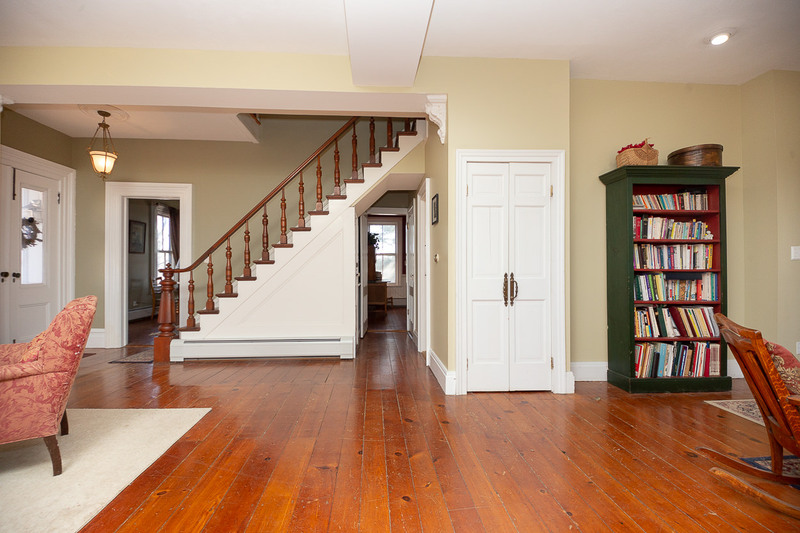 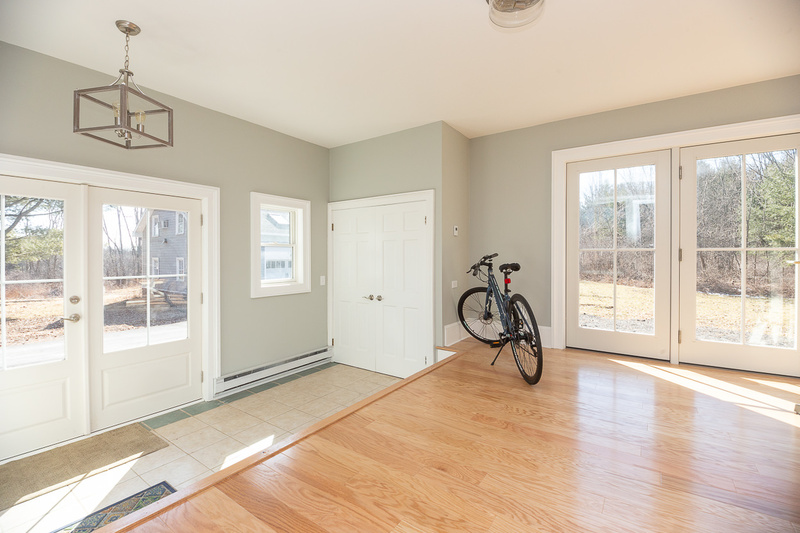 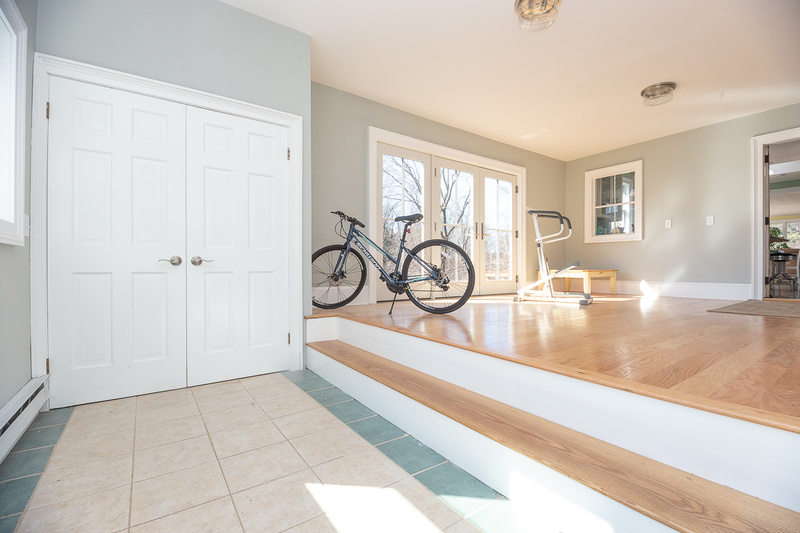 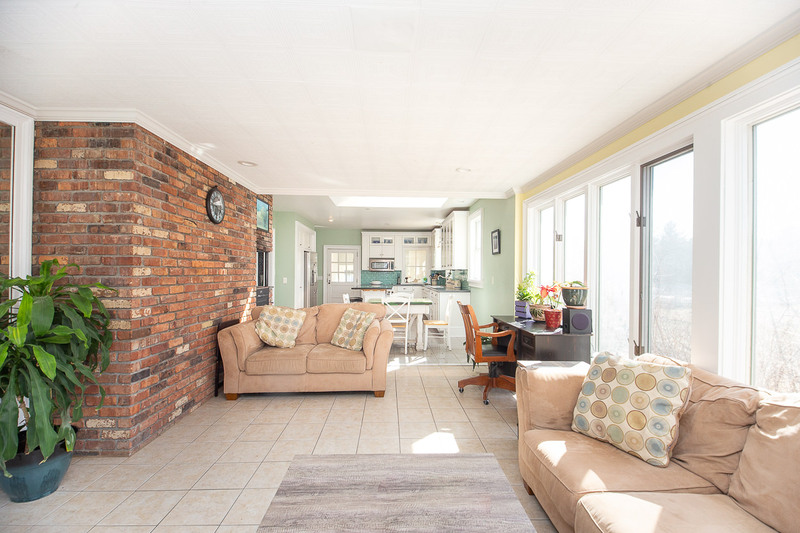 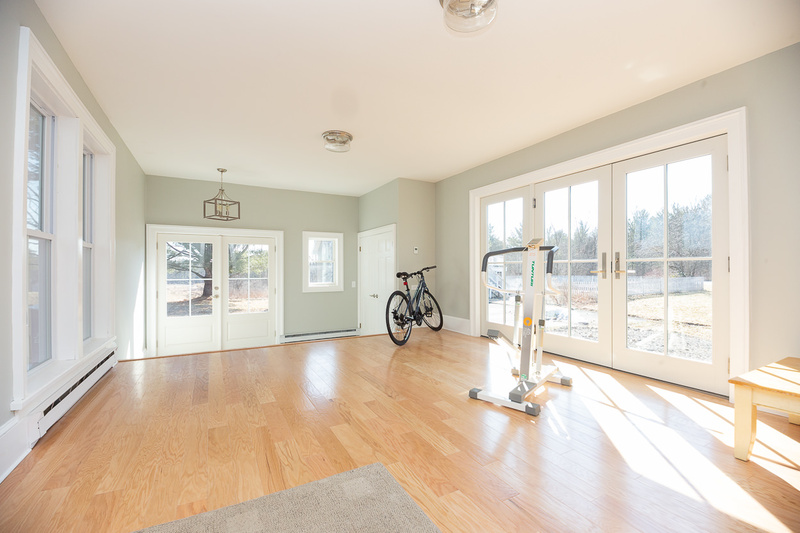 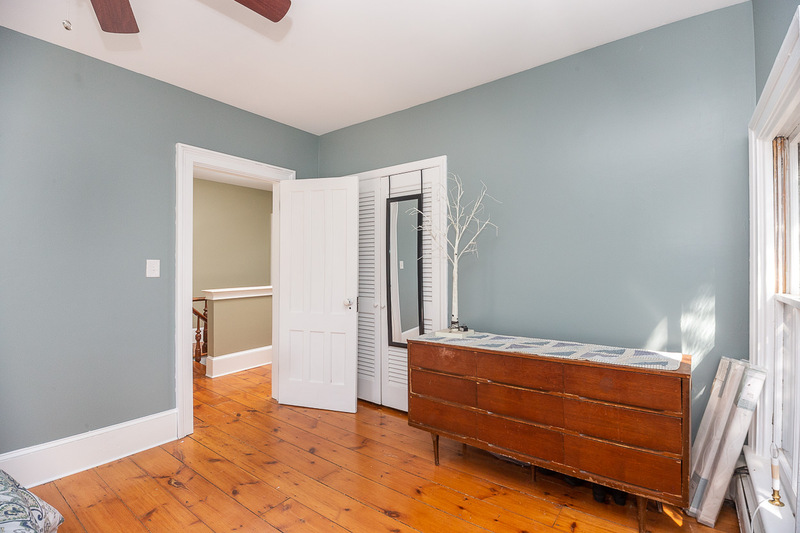 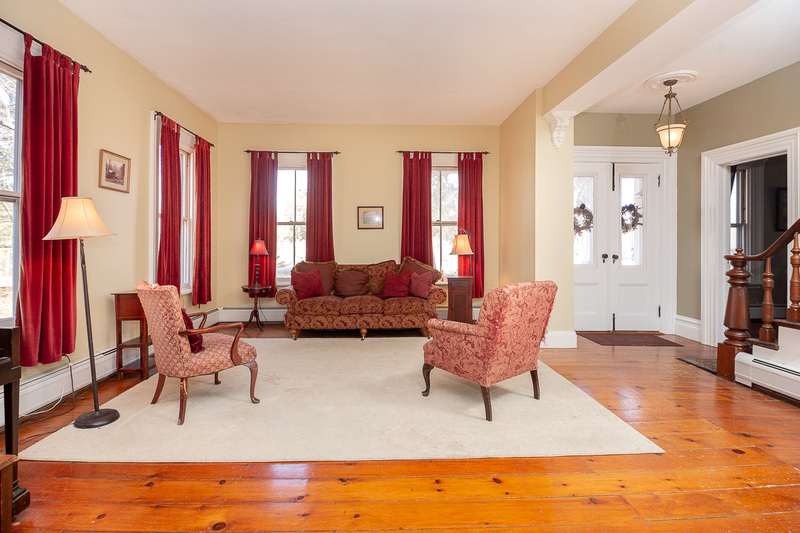 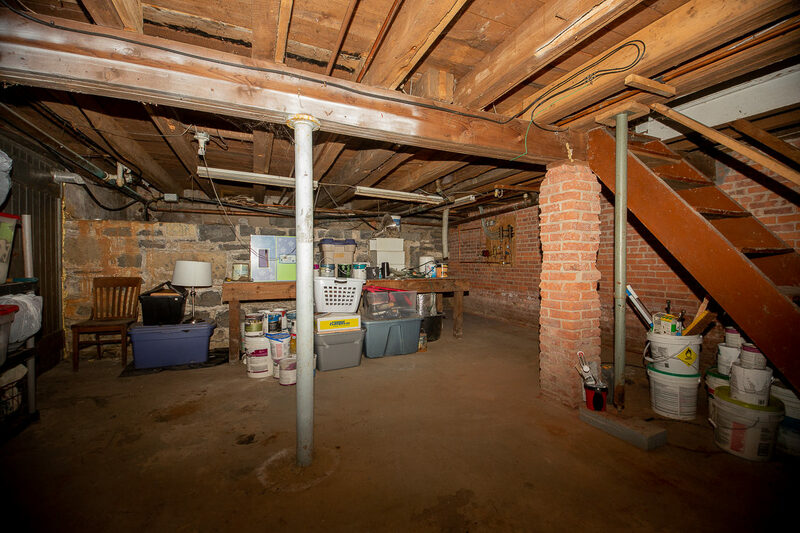 The original wide plank flooring spans throughout almost the entire home. 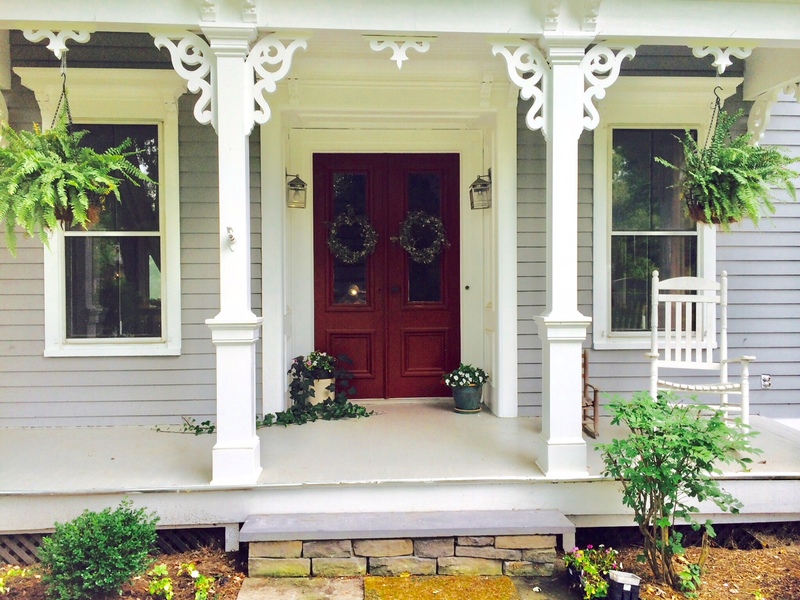 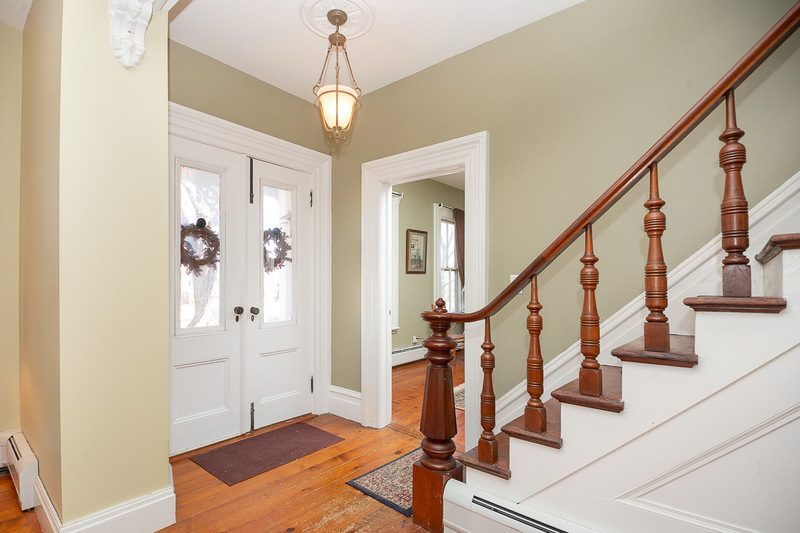 The elegant, formal front door leads in from the front porch ordained with four beautiful white columns and ornate carpentry work. 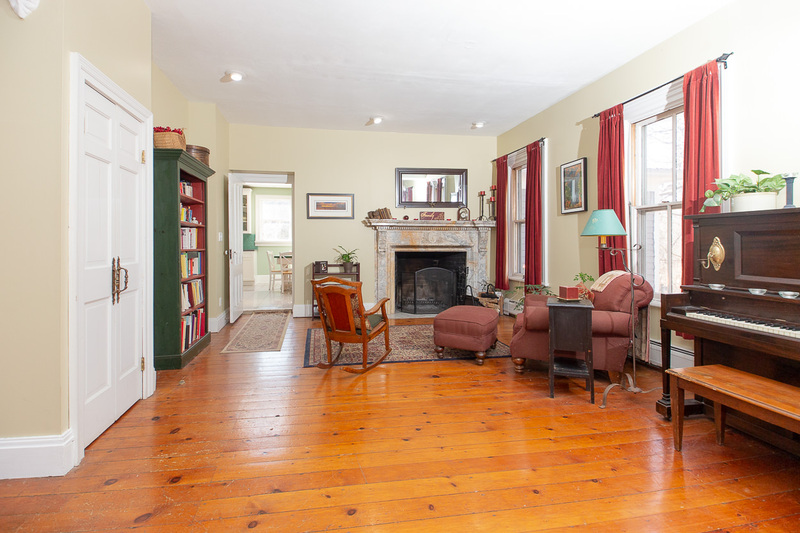 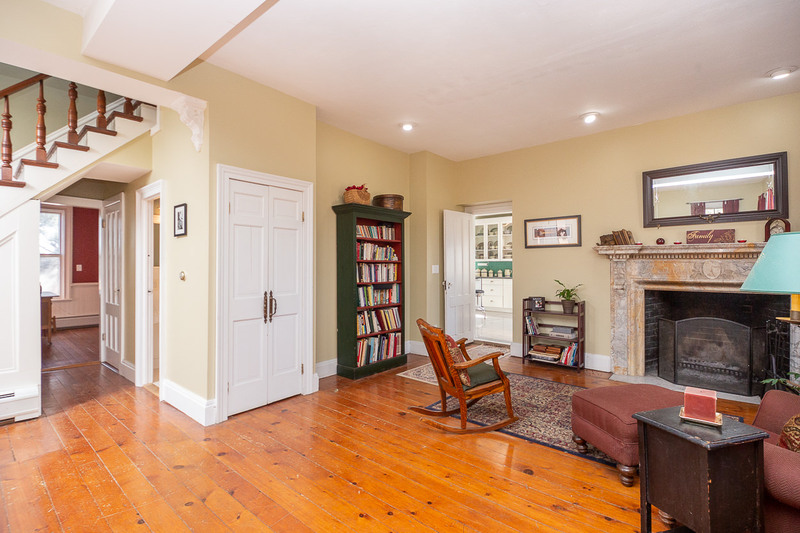 The enormous living room features the lovely staircase at one end and the second beautiful fireplace at the other. 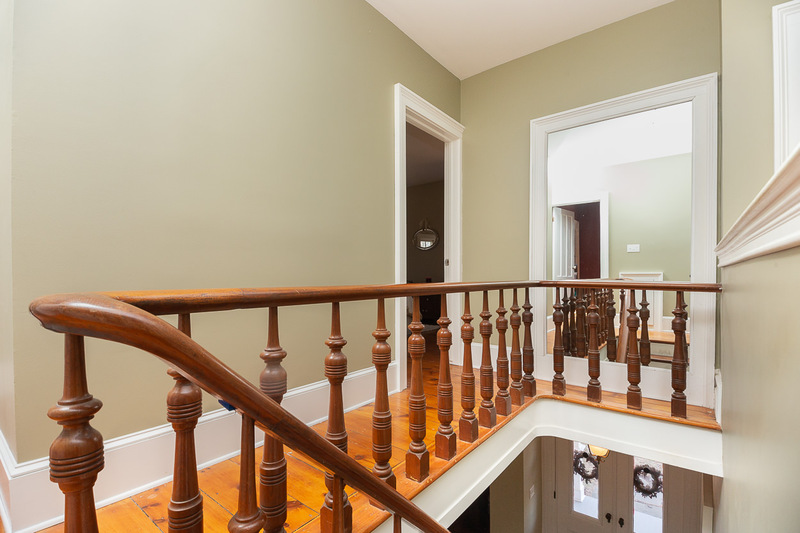 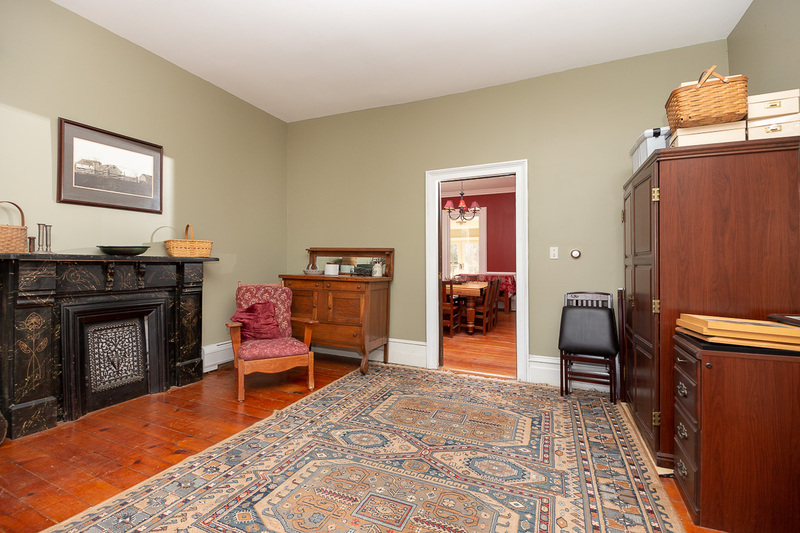 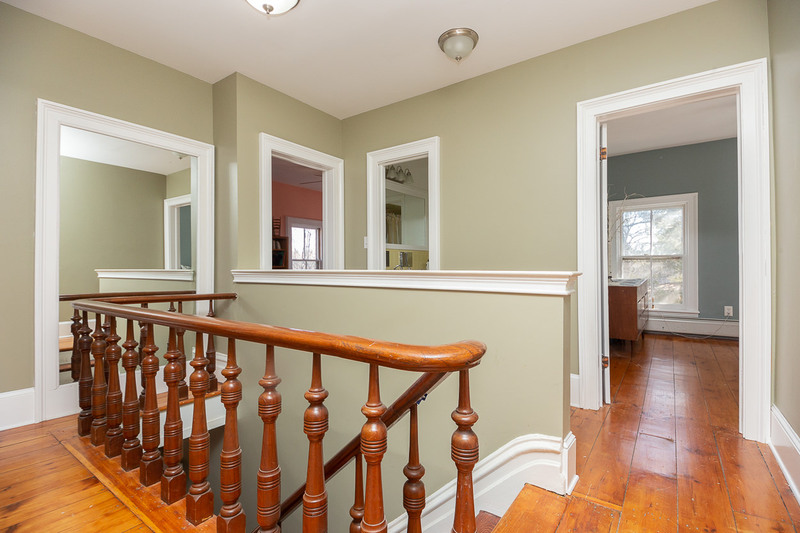 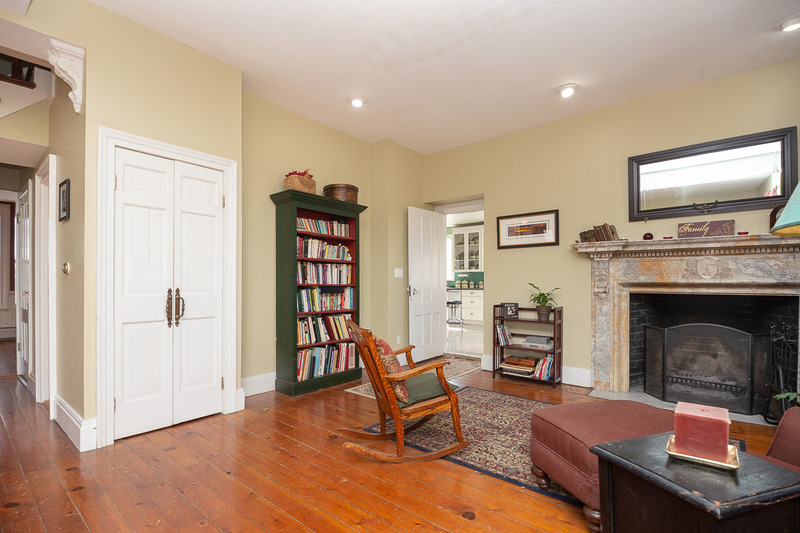 With entrances from the kitchen, hallway, and den, there’s always easy access to this room, bringing every aspect of the first floor to this central location. 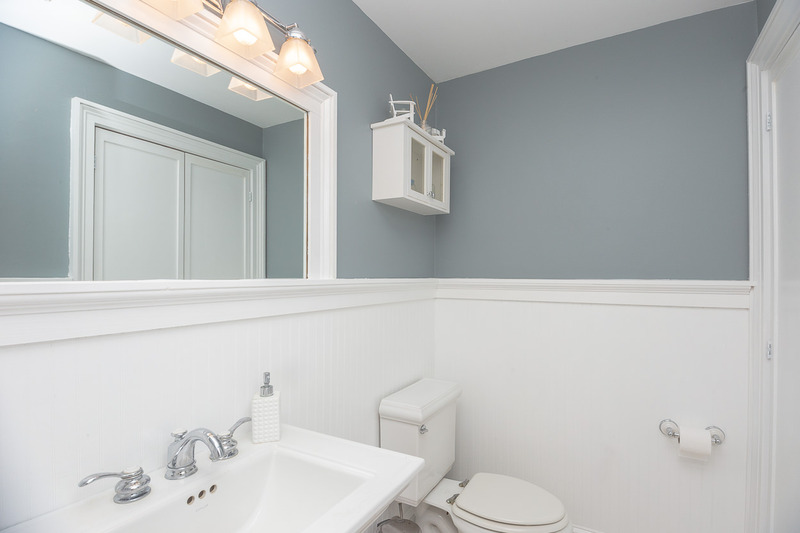 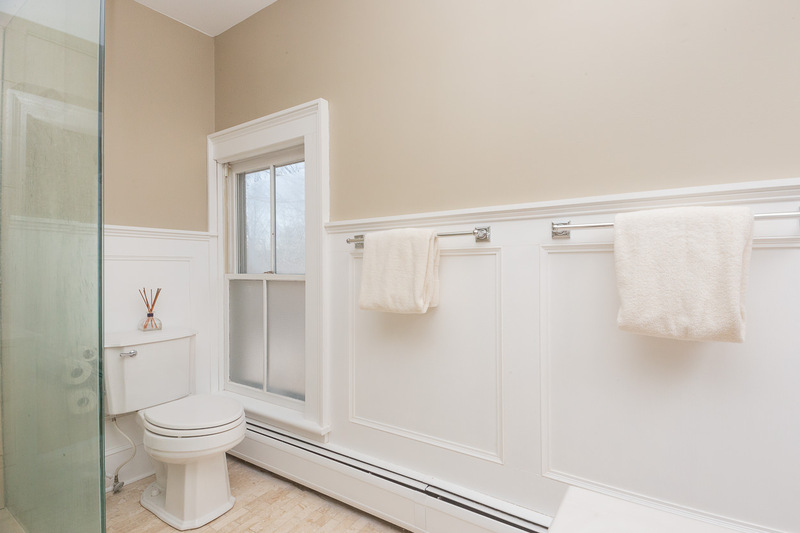 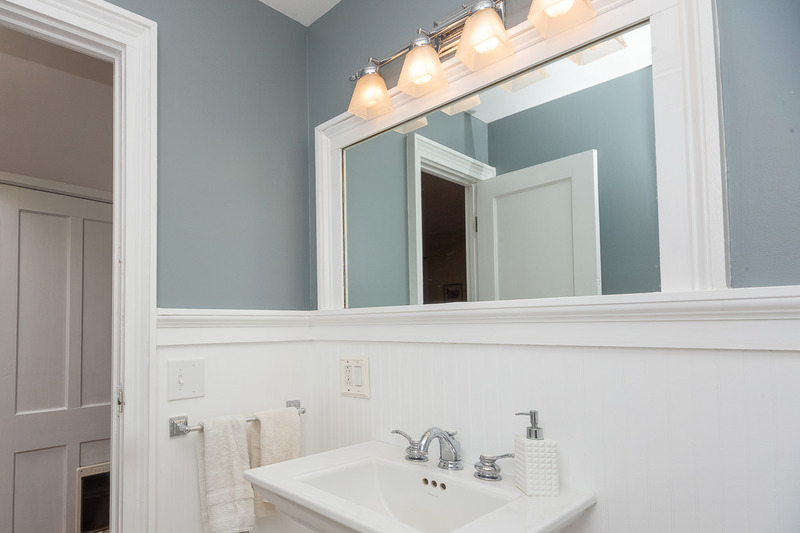 The half bathroom is tucked into the hallway for privacy, and features wainscoting, classic white fixtures, and plenty of closet space. 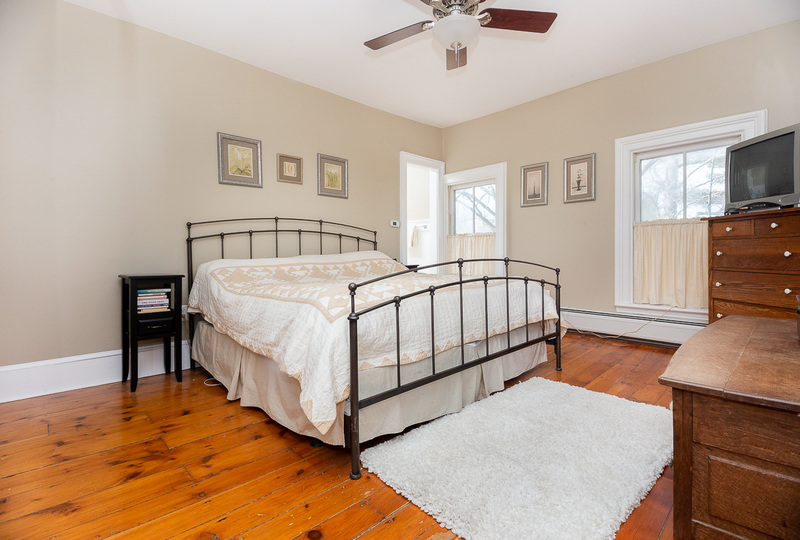 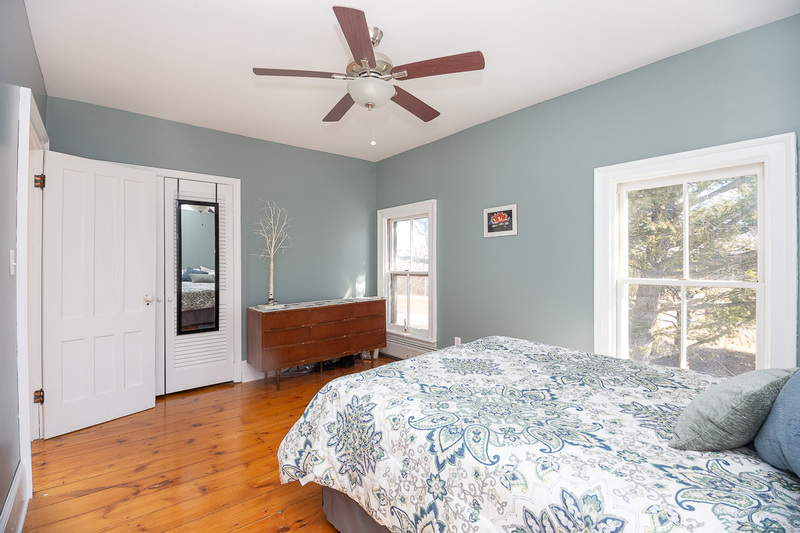 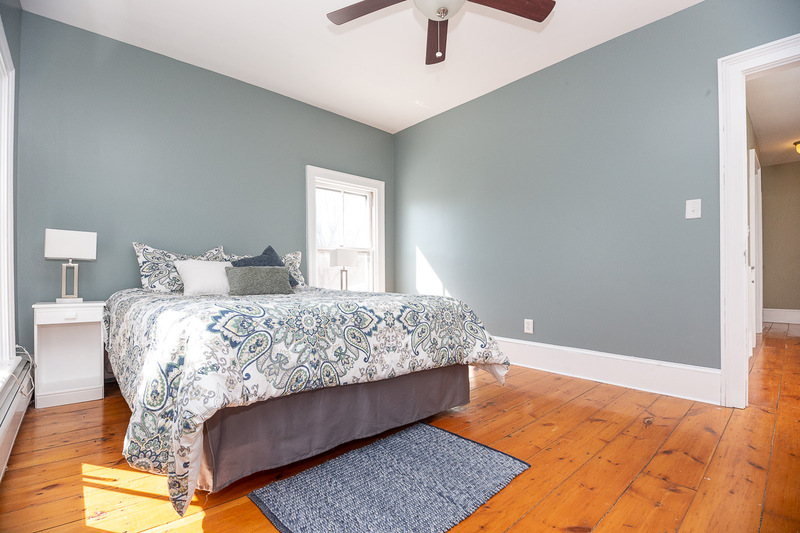 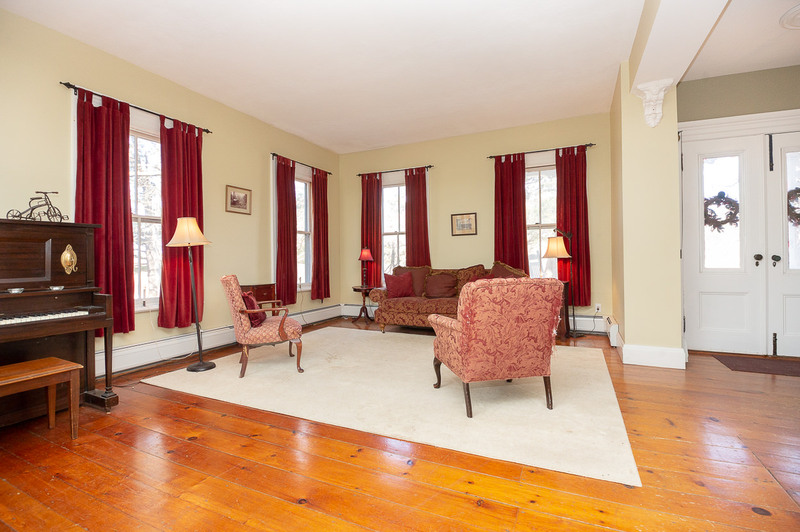 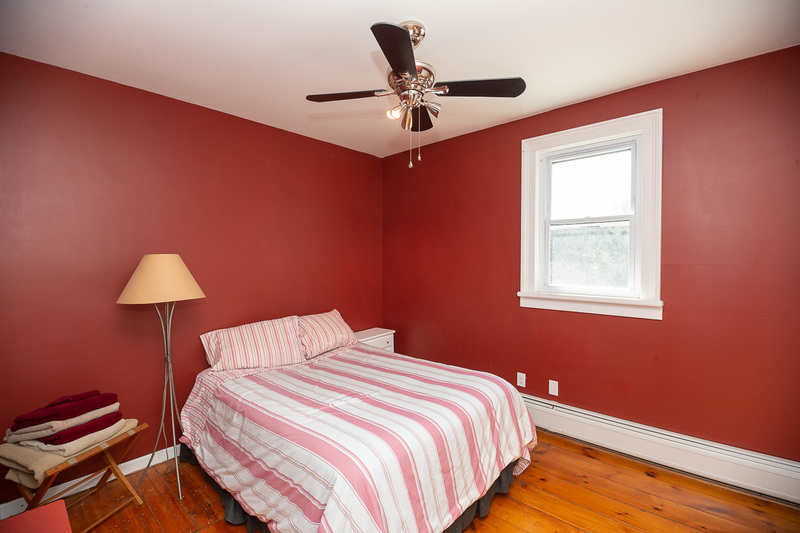 There’s plenty of room on the second floor with five total bedrooms, including the master suite. 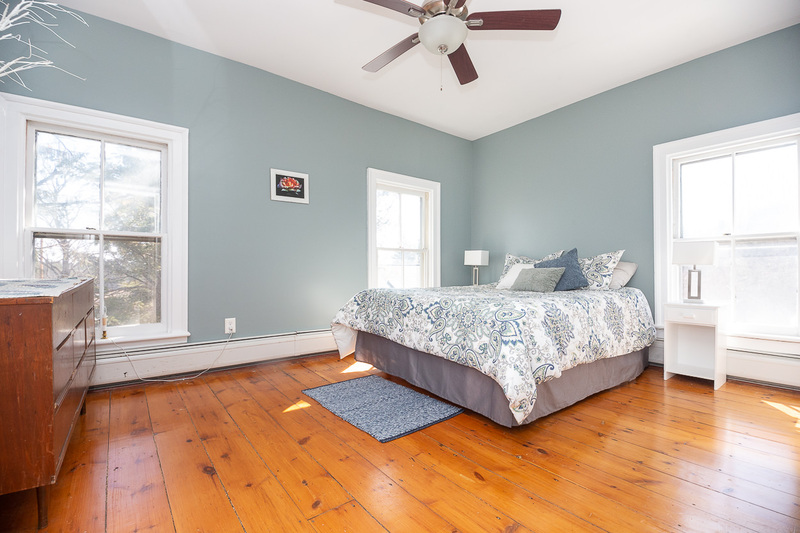 The natural lighting and the wide plank wood floors bring the charm of the entire home into each bedroom. 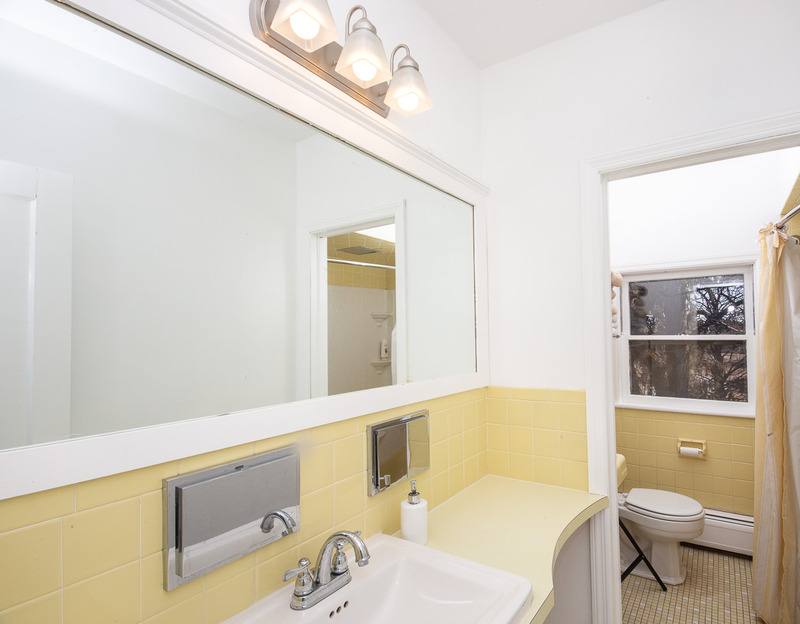 The large full bath features a private commode, oversized mirror, and two sinks. 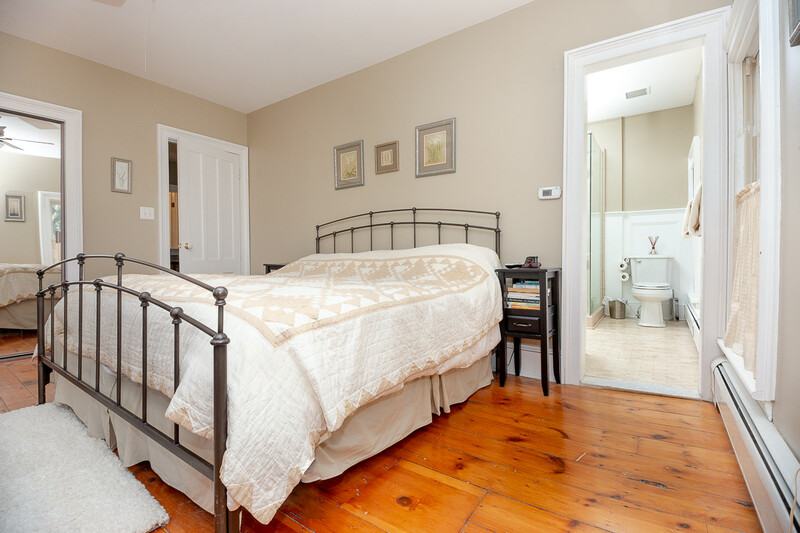 At the end of the day, the master suite offers the perfect relaxing retreat! 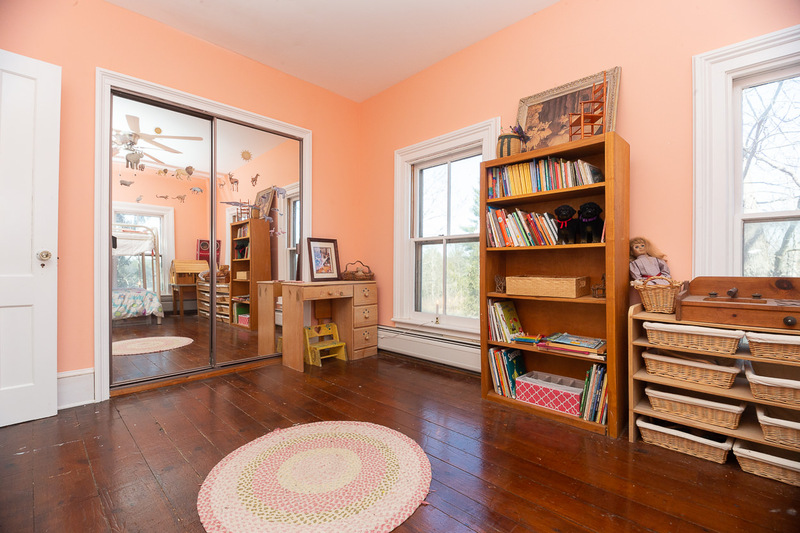 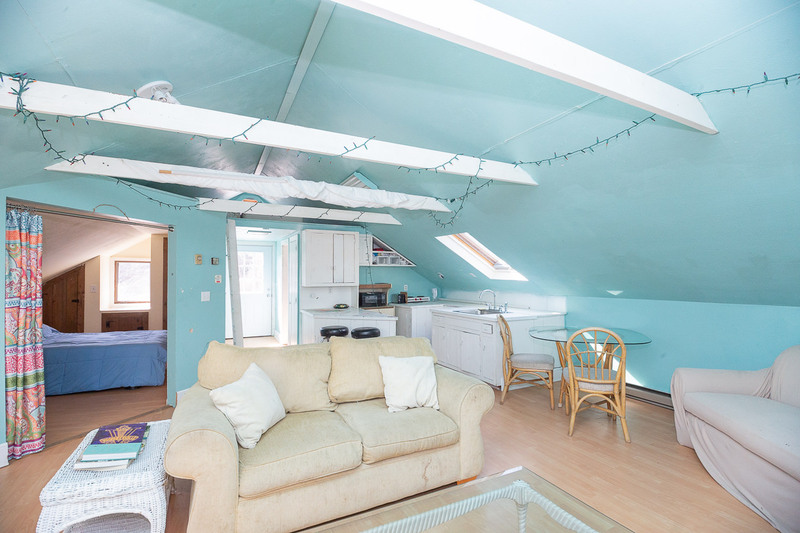 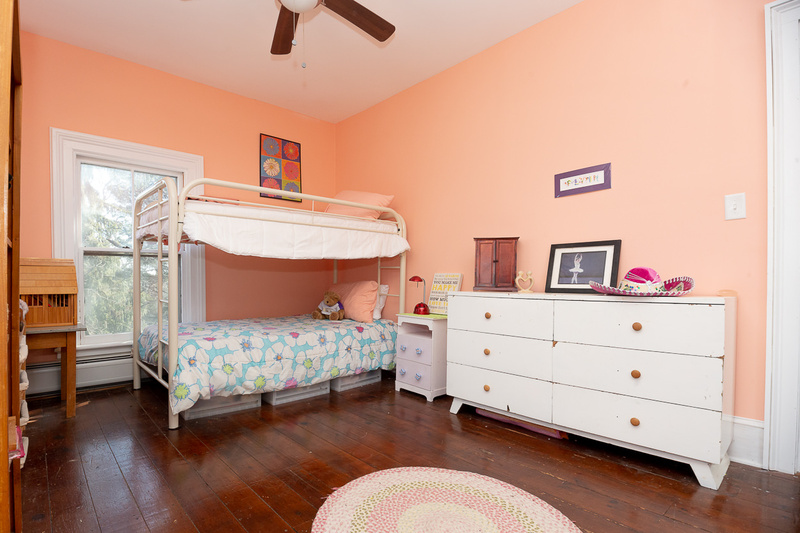 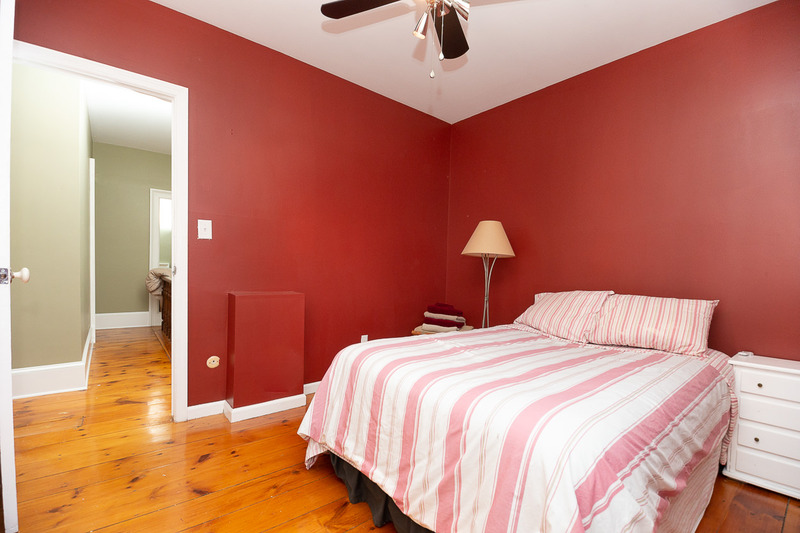 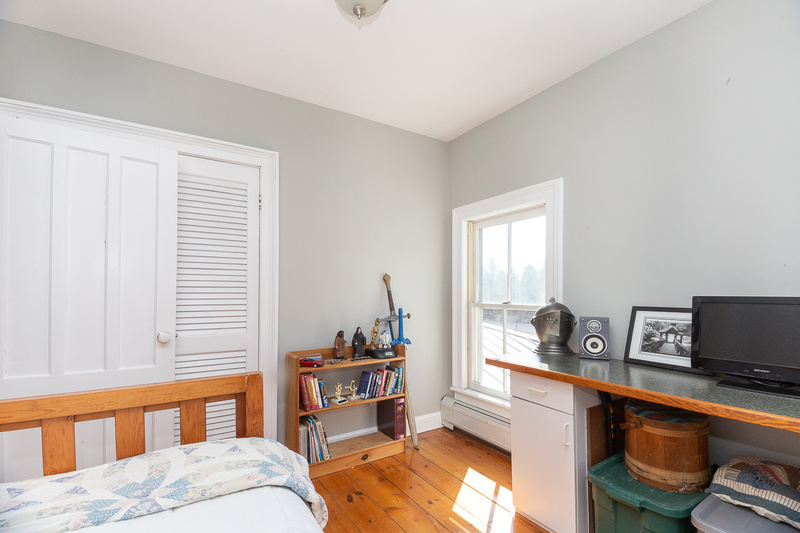 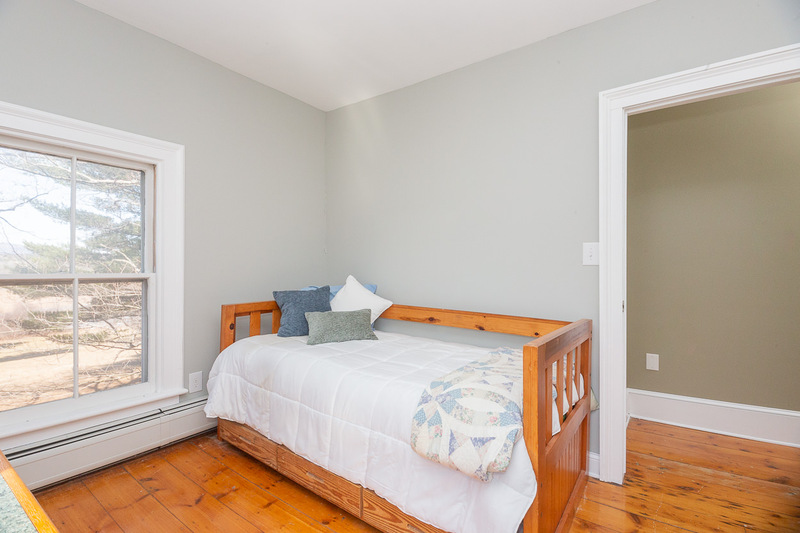 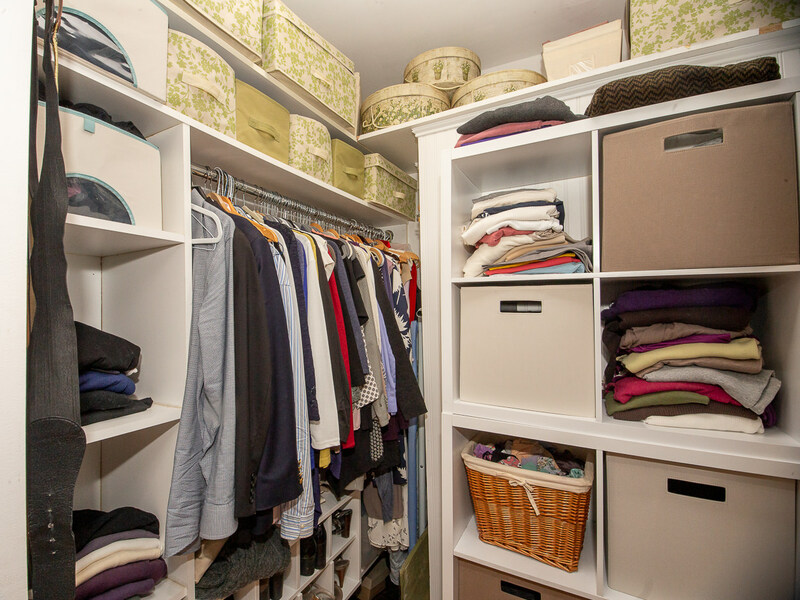 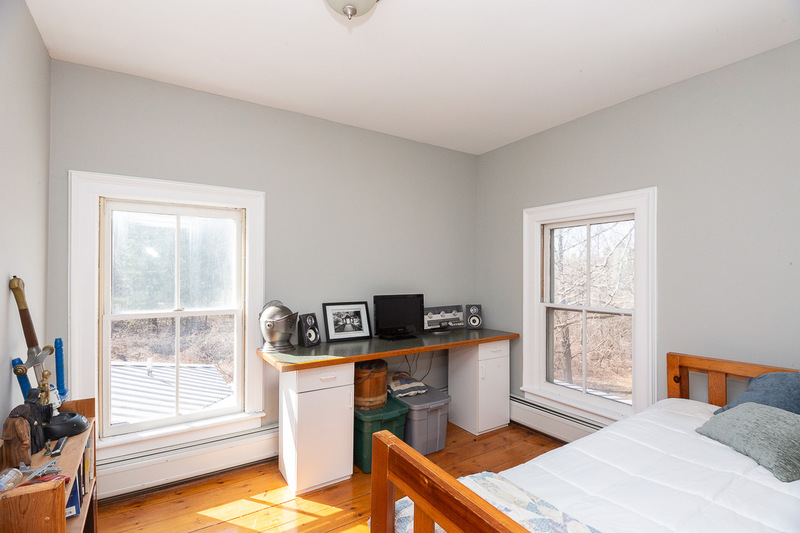 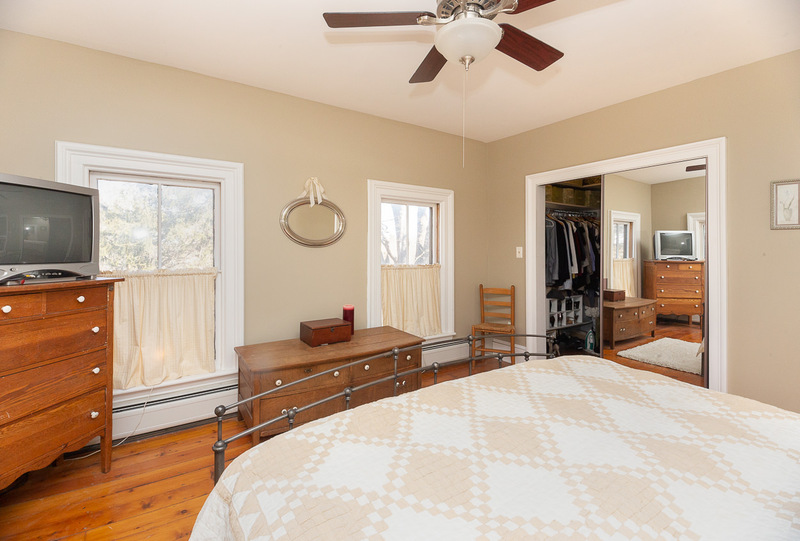 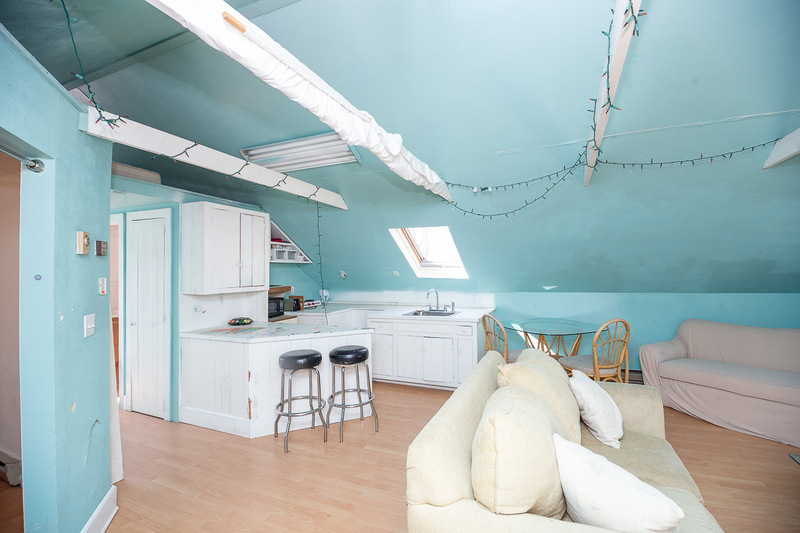 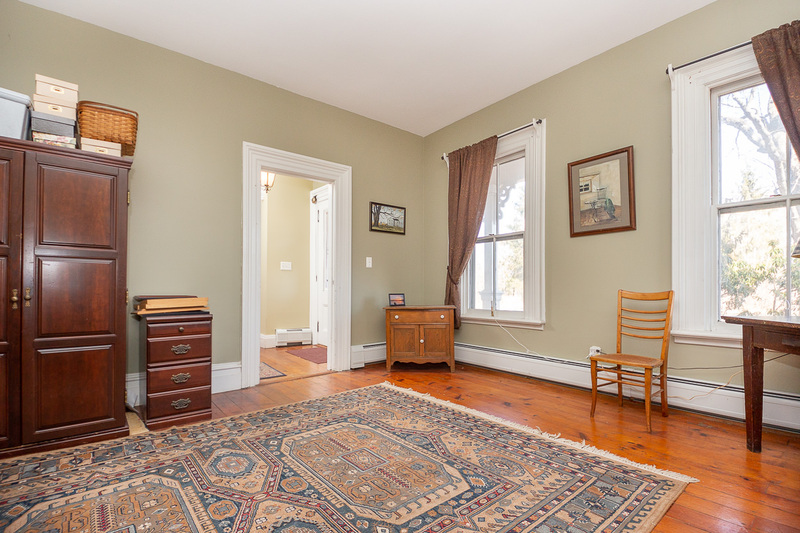 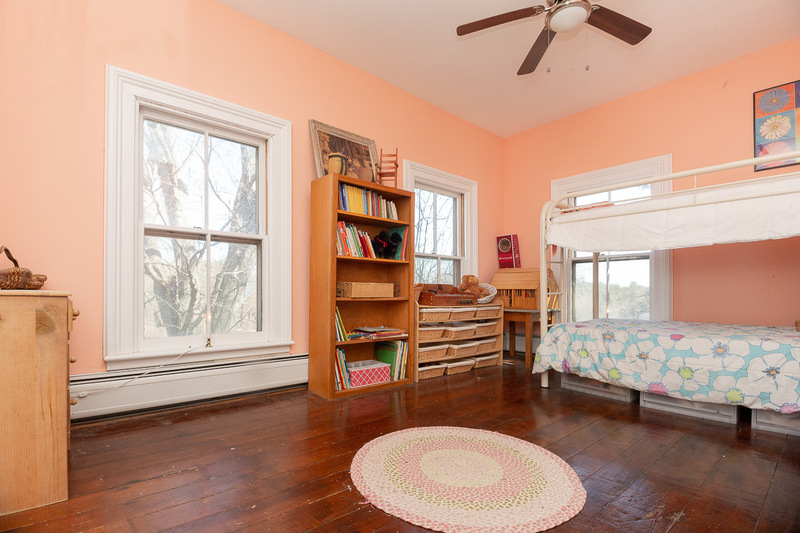 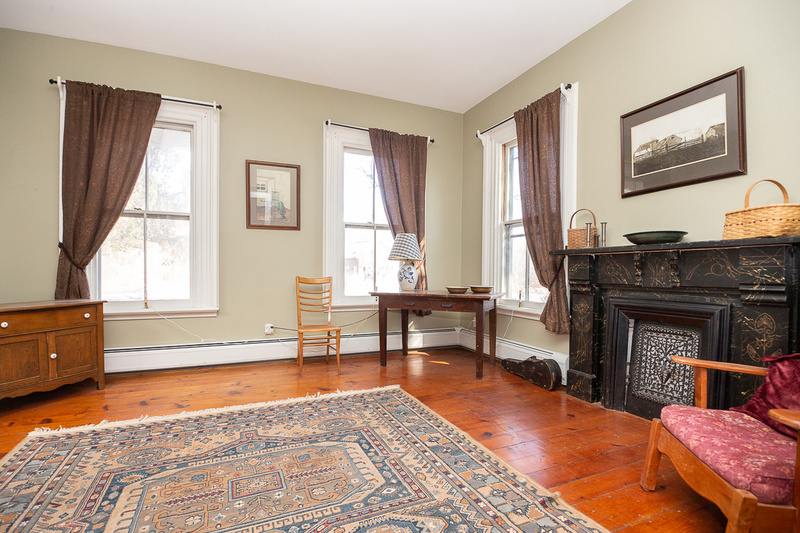 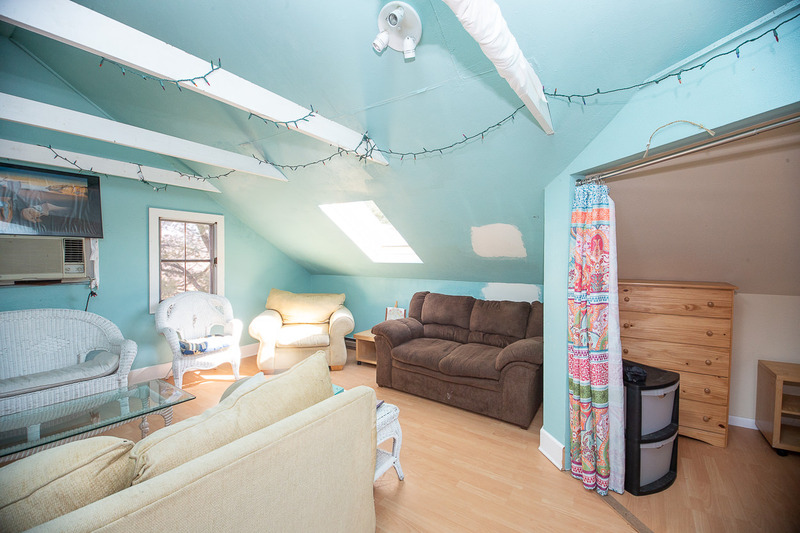 The room is spacious, bright, and offers a large walk-in closet. 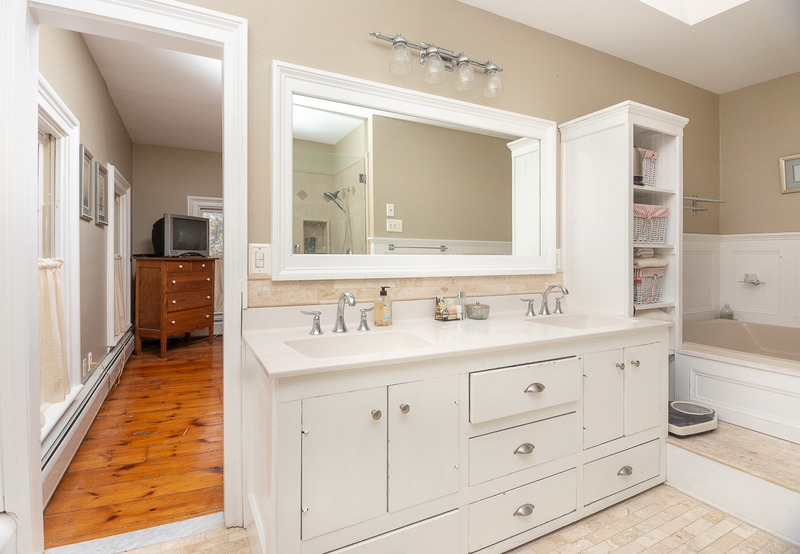 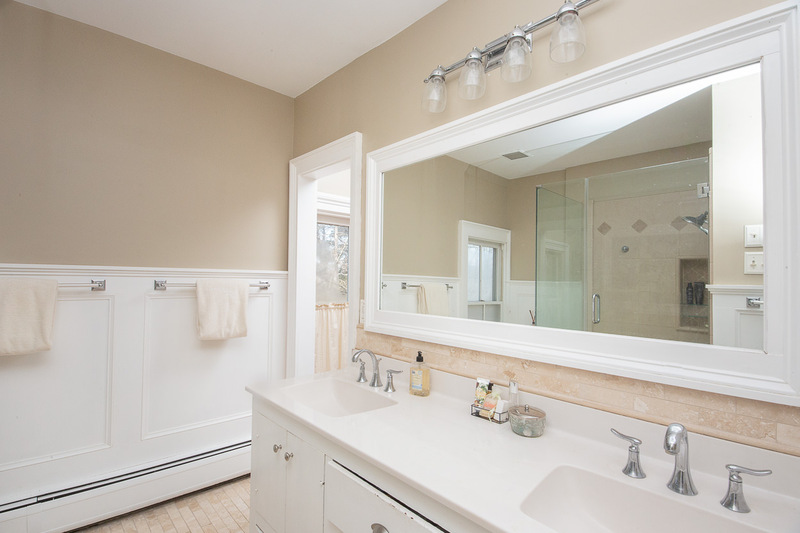 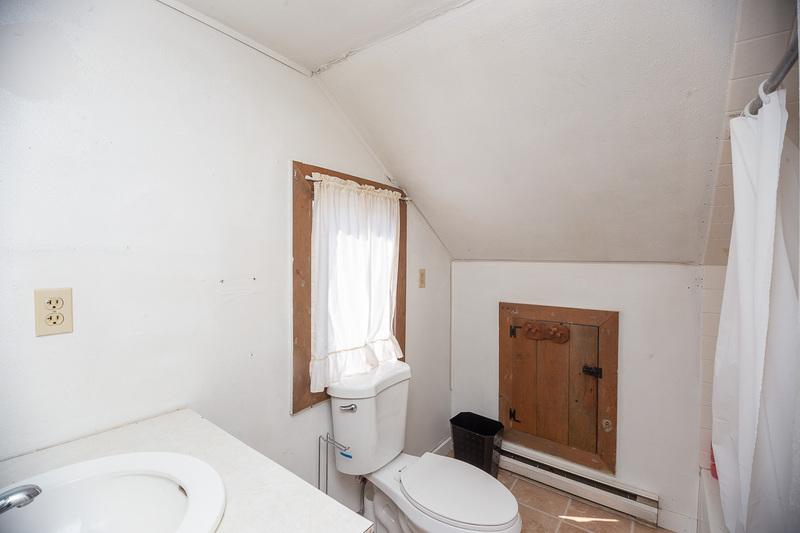 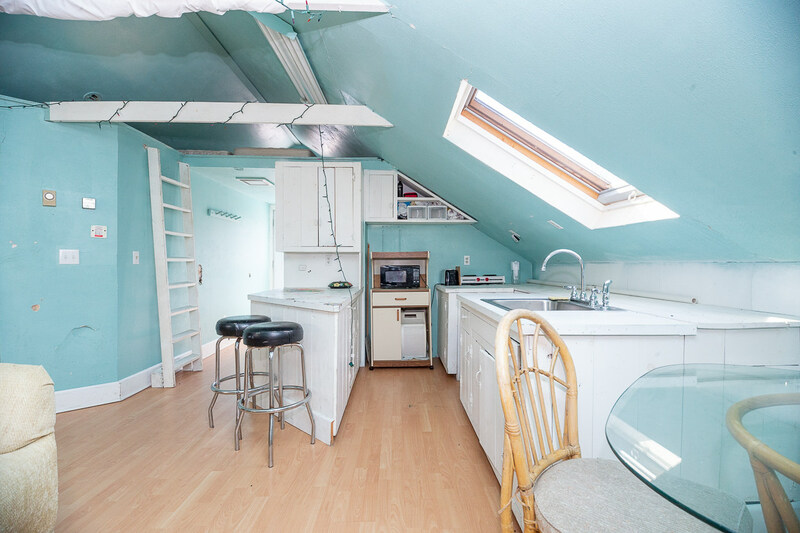 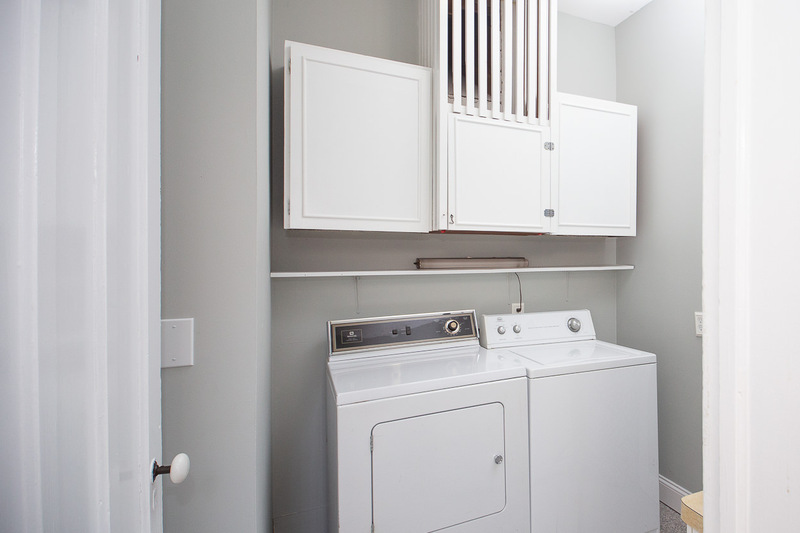 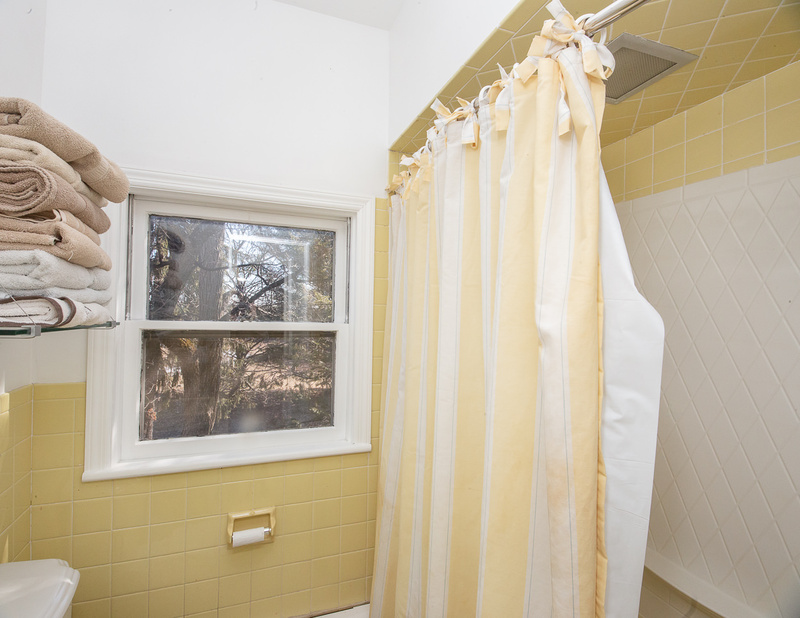 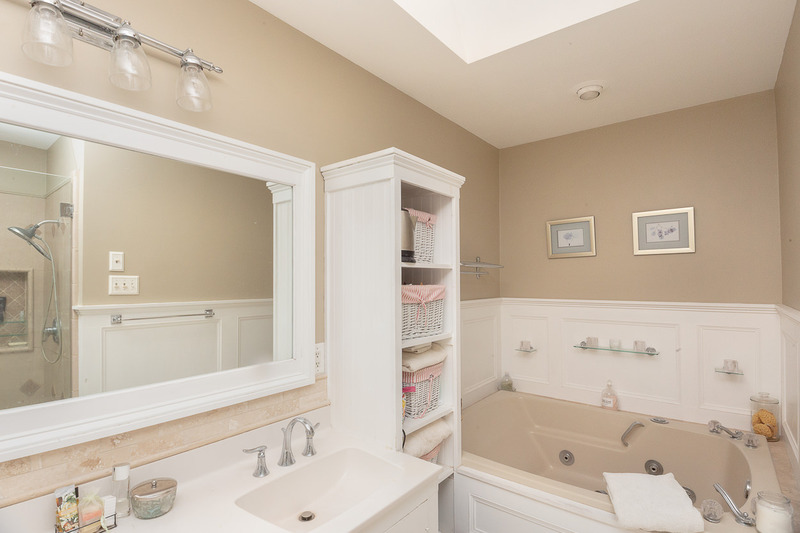 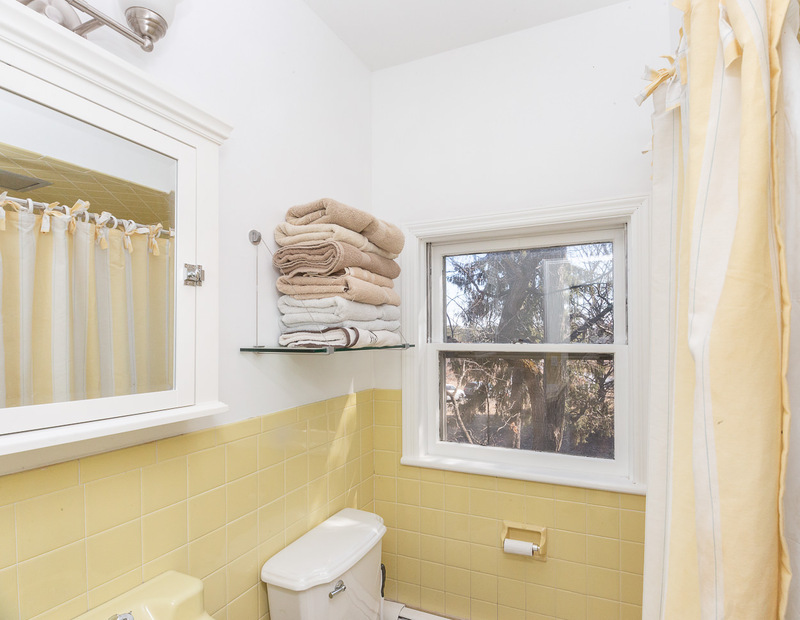 You’ll adore the stunning, newer ensuite featuring double sinks, a large mirror, and skylight. 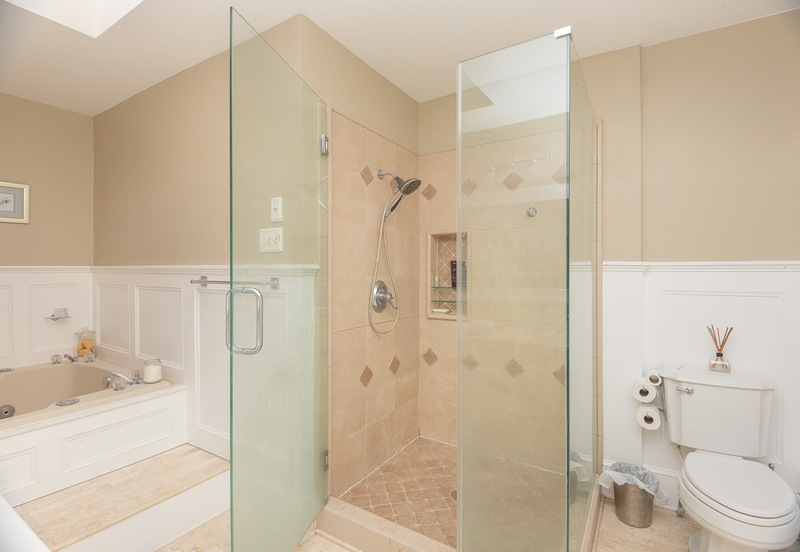 Wash away your worries in the large glass shower with beautiful accent tile or light candles as you soak in the Whirpool double jetted tub. 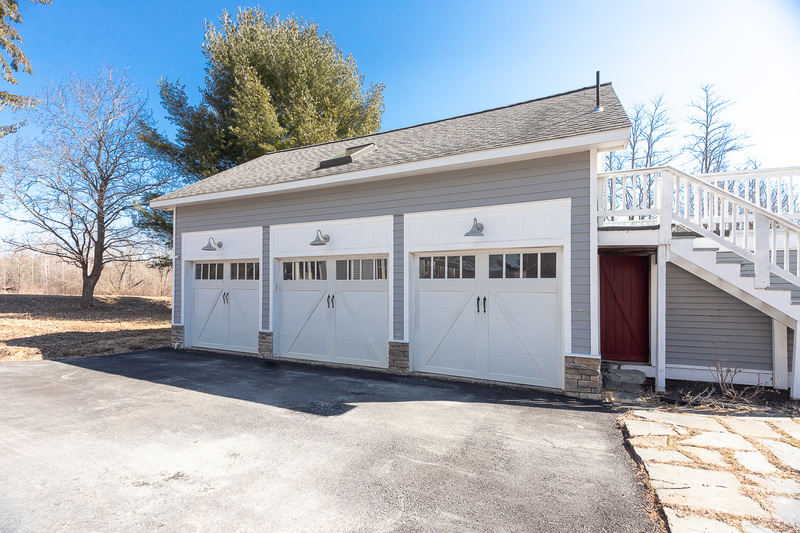 Adjacent to the home is the three-car garage that also hosts a pool house apartment. 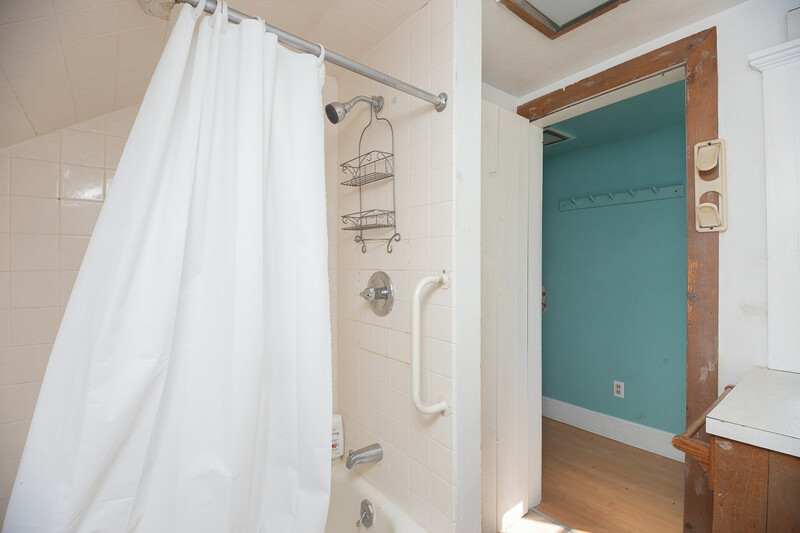 The apartment has a bedroom, full bathroom, kitchenette, living area, and deck overlooking the dazzling in-ground pool and surrounding patio. 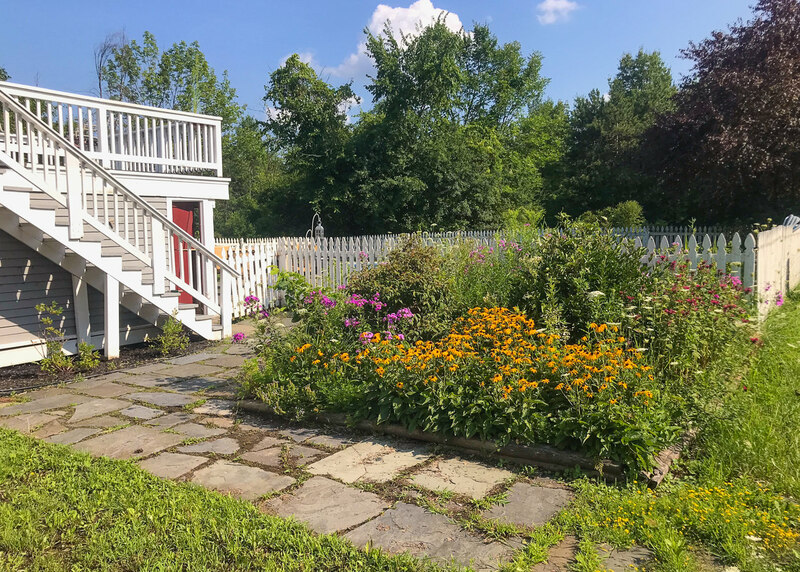 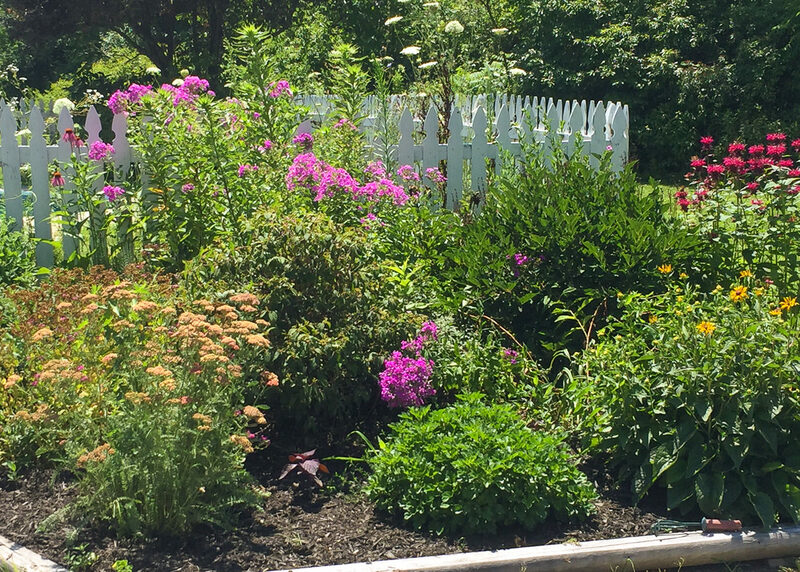 Enjoy splendid blooms from numerous perennials, beautiful white fencing around the pool area, stocked bass pond for fishing, and the seclusion of mature trees across four acres. 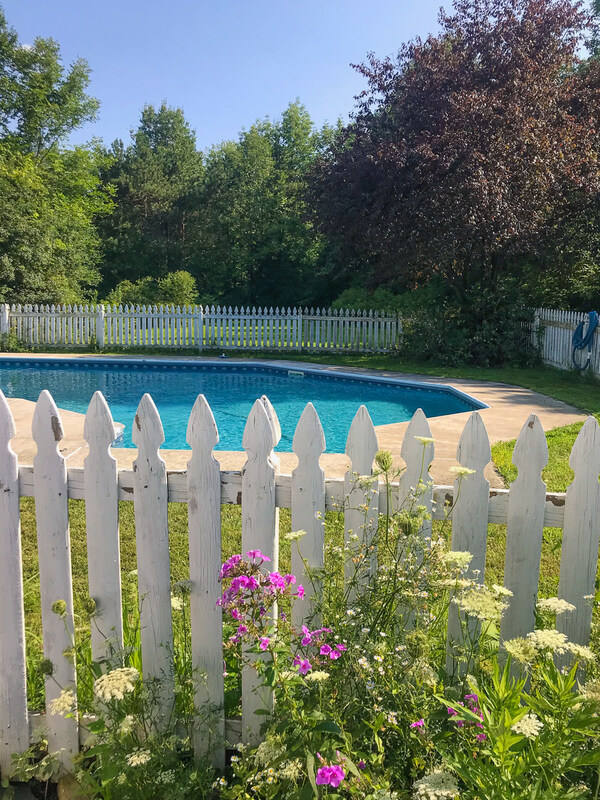 Plus there’s plenty of yard space to enjoy all year round! 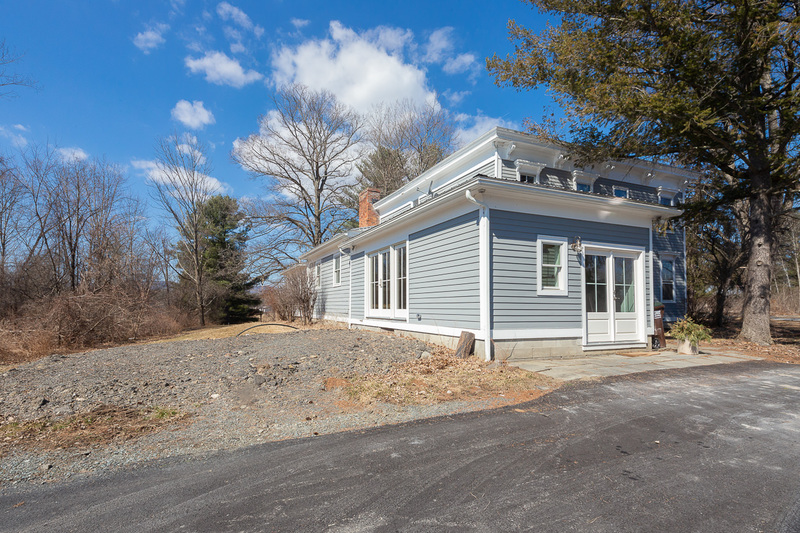 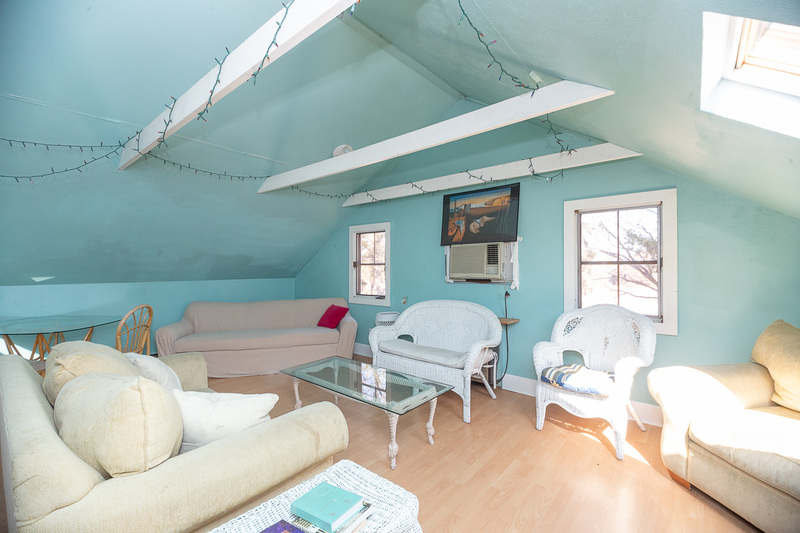 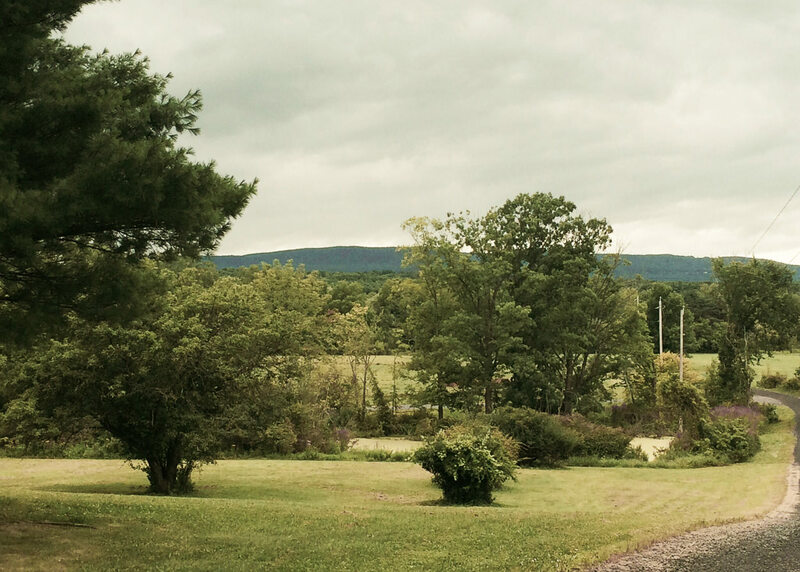 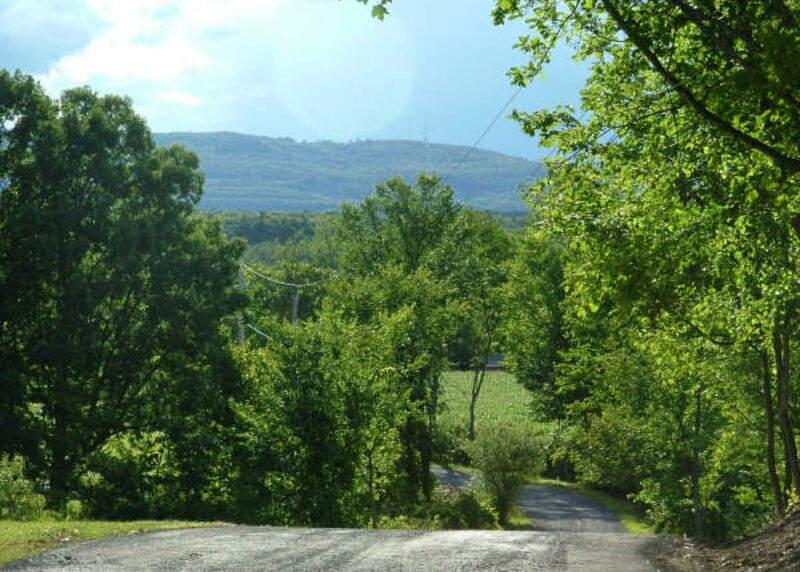 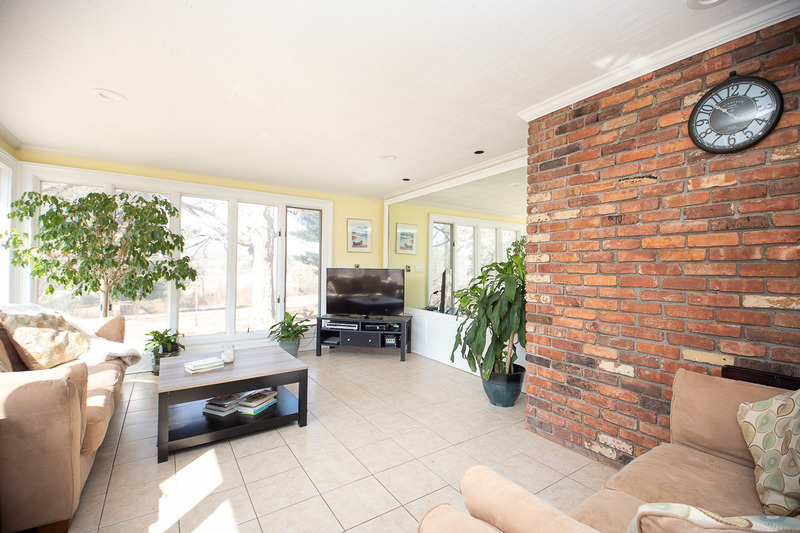 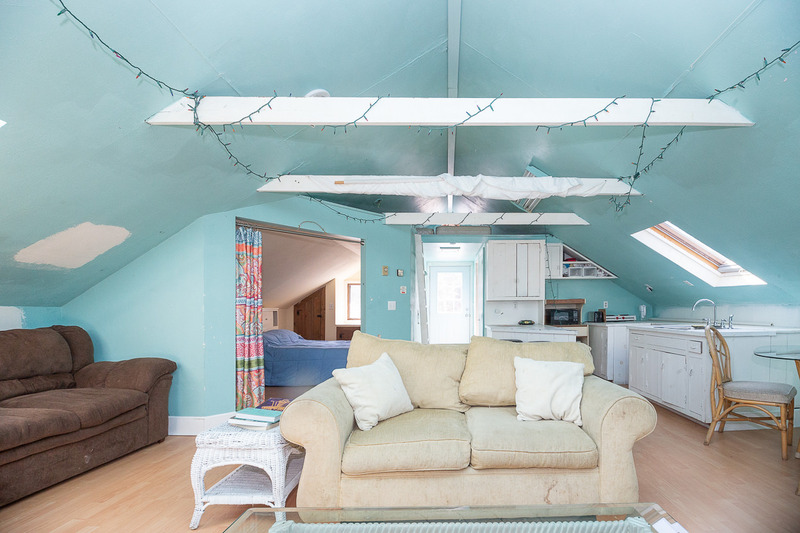 Don’t miss the opportunity to make 68 Miller Road your own private oasis!